DALLAS — Truth be told, Sadie Evans knew all along. She knew that when adversity surfaced in her life to challenge her faith, God had her covered. 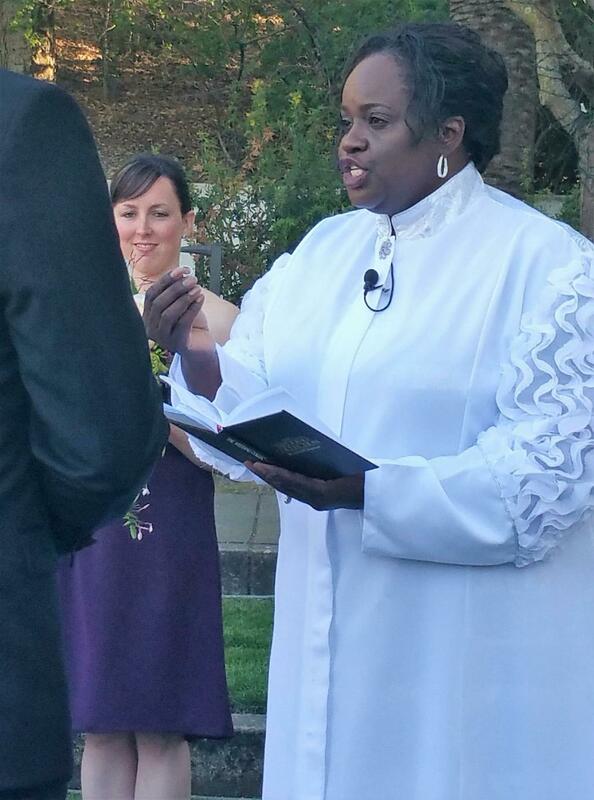 She knew that when he faith was seemingly on the brink of evaporating, God had her covered. She knew that even when it seemed that her ability to walk in victory appeared virtually insurmountable, God had her covered. She knew that in spite of every tear she released into the atmosphere, God had her covered. Because truth be told, there was a silver-lining attached to all of those times she was left weeping — one that came wrapped up in a book that figures to advance the kingdom for such a pivotal time as now. 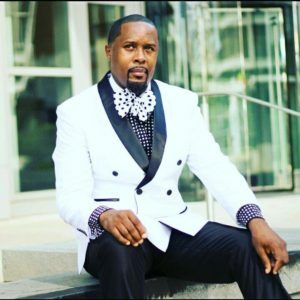 “The vision for this book was given to me in 2014, but because of life circumstances, I could not complete it,” Evans, an Atlanta-area author, told Making Headline News this week. 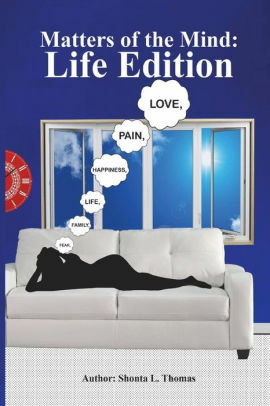 Released officially on February 8, 2019, Evans’ “Graceful Tears: Cries From A Gracefully Broken Woman” was assembled through what this authors describes as “life’s hardships and storms,” many of which were meant to break her, according to a detailed breakdown of Evans’ book at Amazon.com. Despite the flurry of developments that essentially proved to be temporary barricades as it pertains to Evans finishing her book, she managed to demonstrate enough faith to press on through her project until it eventually became an awe-inspiring masterpiece. 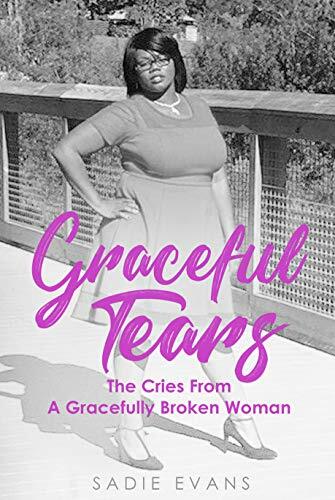 Released officially on February 8, 2019, Evans’ “Graceful Tears: Cries From A Gracefully Broken Woman” was assembled through what this authors appropriately describes as “life’s hardships and storms,” many of which were meant to break her, according to a detailed breakdown of Evans’ book at Amazon.com. PEEP THIS — As for the divine message she aspires to send to her reading audience through her first book, Evans stressed, among other things, that God’s people must adopt the mindset to press diligently through life’s difficulties, even when things are falling apart. 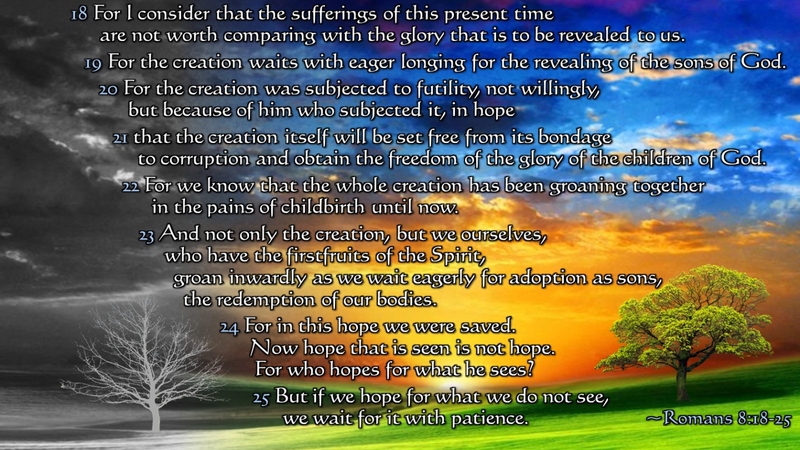 A book that is comprised of 54 pages in length, Evans’ “Graceful Tears: Cries From A Gracefully Broken Woman” was produced largely as a strategic way to help people from various walks of life, most notably those who struggle to see God’s grace in their live, yet realize that because of His grace, we are still here and walking out our destiny regardless of the dark seasons we go through,” Evans emphasized. BUT GOD — Despite the flurry of developments that essentially proved to be temporary barricades as it pertains to Evans finishing her book, she managed to demonstrate enough faith to press on through her project until it eventually became a finished project. 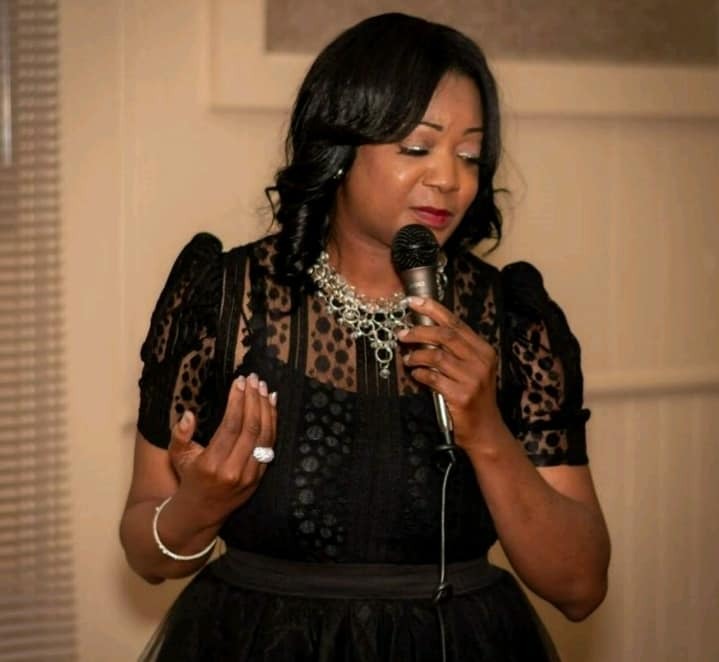 As for the divine message she aspires to send to her reading audience through her first book, Evans stressed, among other things, that God’s people must adopt the mindset to press diligently through life’s difficulties, even when things are falling apart. 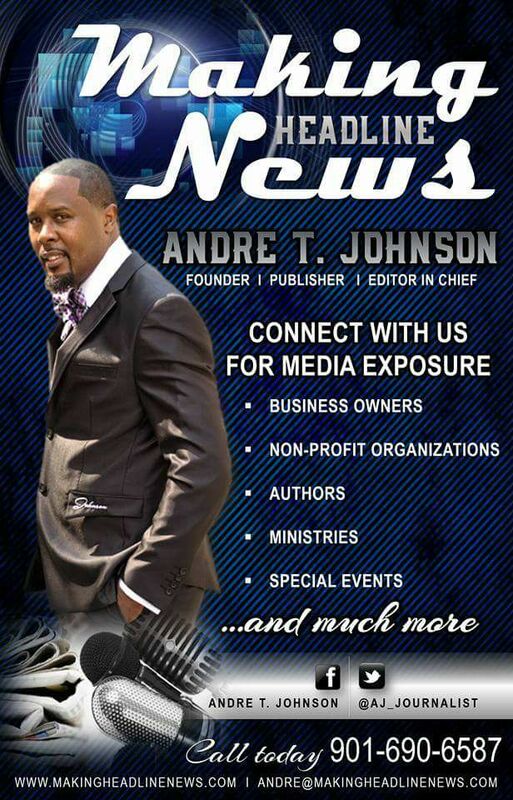 “(You’ve got to) have faith to know that if God is for us, nothing can be against us,” Evans says with such authority. Much to her delight, the feedback since the release of Evans’ book has been overwhelmingly favorable. Interestingly, Evans said her new book has become a spiritual gut-checking resource, of sorts, particularly as it relates to her own ability to heal. Now that she’s made her authorship debut, Evans has announced that Book No. 2 is presently in the works. The title: “Learning To Love Thyself,” which is scheduled to be released this summer. 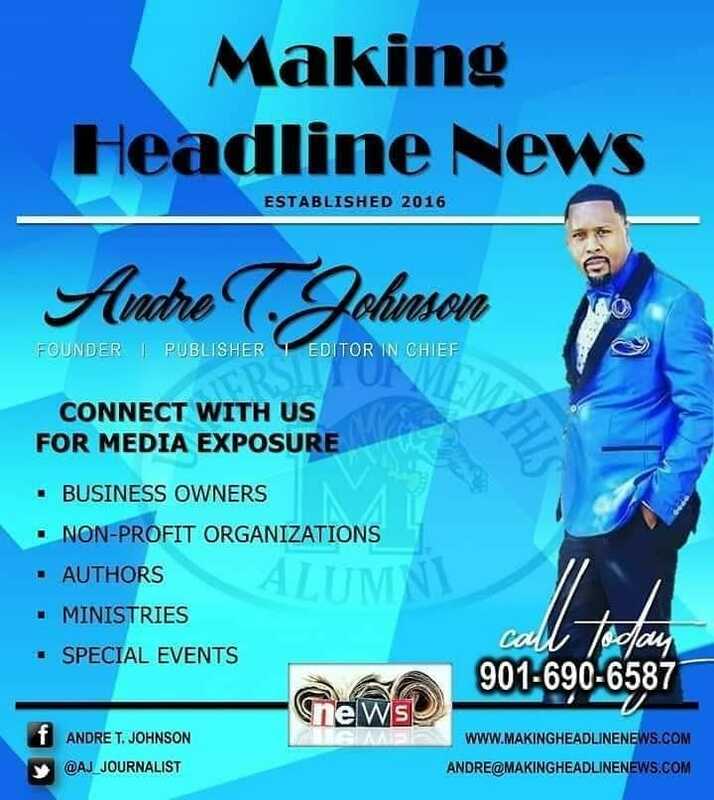 In addition, she will be hosting her first empowerment conference that is scheduled for October 12, 2019. 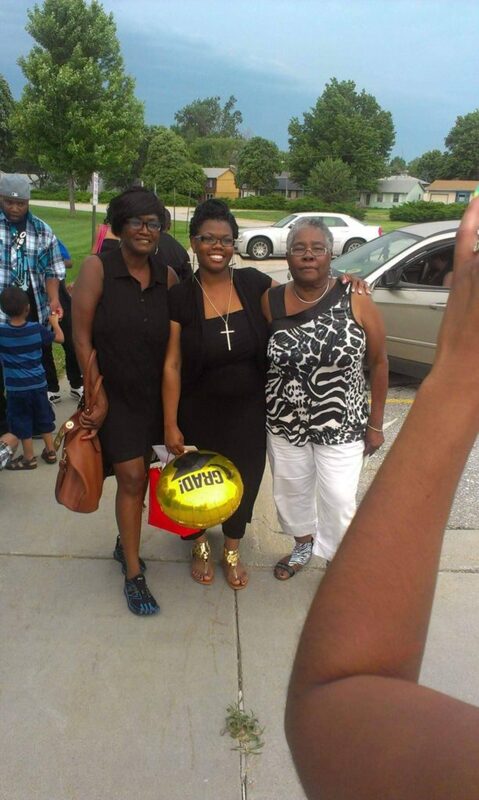 “I am a single mother of five children that did not allow the generational curses that were on my family or the stigma that being a single mother carries stop me,” Evans, a native of Omaha, Nebraska, said. 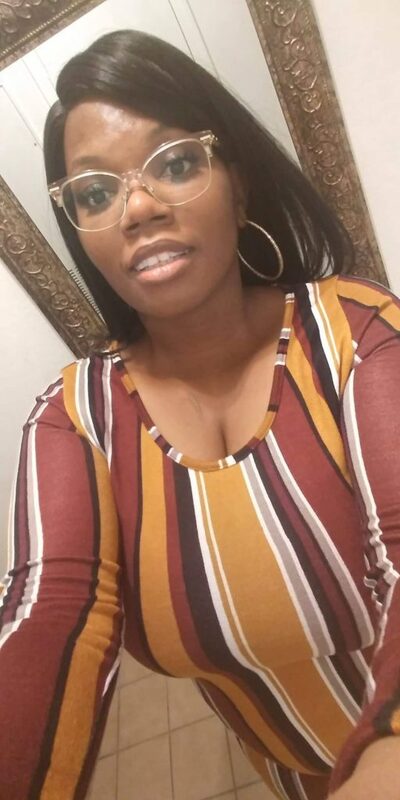 “I recently relocated to Georgia from Nebraska on my own to make a better life for myself and my children. UP NEXT — Now that she’s made her authorship debut, Evans has announced that Book No. 2 is presently in the works. The title: “Learning To Love Thyself,” which is scheduled to be released this summer. Truth be told, she knew all along — knew that when adversity had surfaced in her life to challenge her faith, God had her covered. 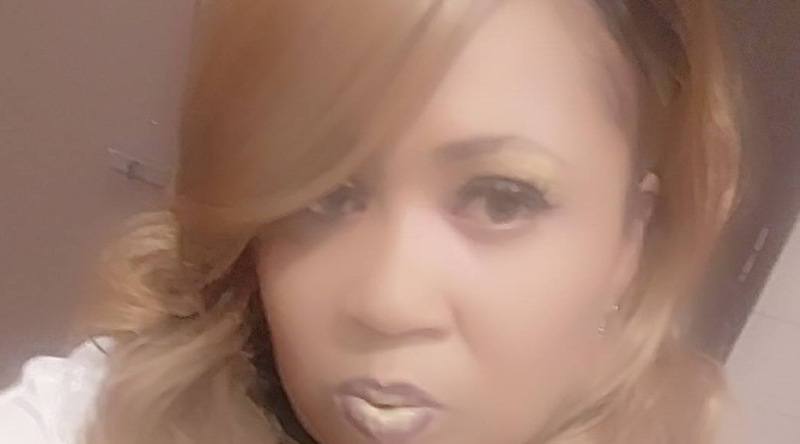 For more information about Atlanta-area Author Sadie Evans, or to schedule her for a public appearance, a book signing or speaking engagement, connect with her via Facebook under: https://www.facebook.com/sadie.evans.31. Also, send email to: evanssadie1989@gmail.com. 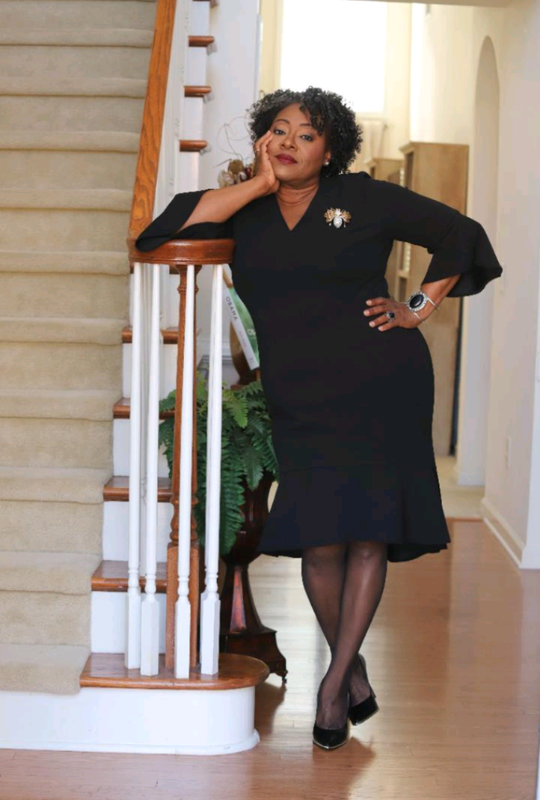 WELCOME TO YOUR NEW SEASON — An accomplished Atlanta-area author and businesswoman, Dr. Carolyn Stephens is responsible for forwarding the book entitled, “I Am A Black Woman, Volume 2,” her much-anticipated sophomore edition that is is widely known as “One Voice” — a project that addresses a variety of pertinent topics, most notably surviving divorce, sexual and physical abuse, broken identity, and mental illness, among other subjects. 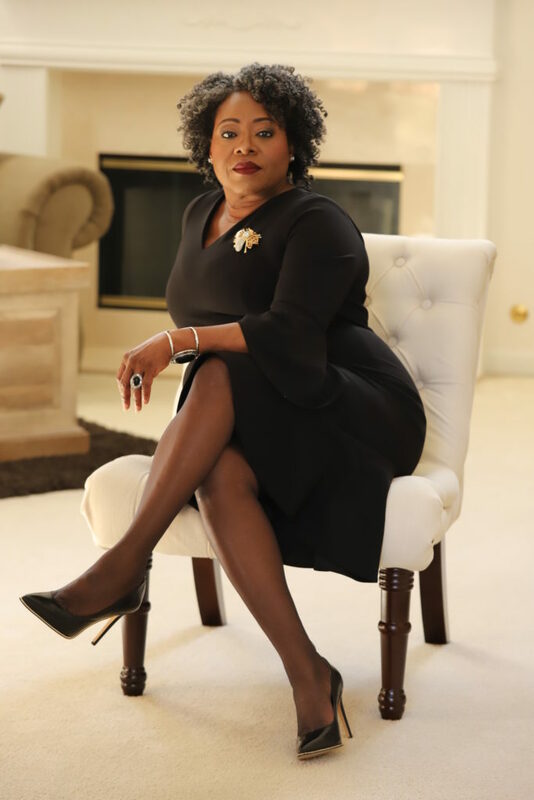 DALLAS — Dr. Carolyn Stephens has something she needs to get off of her chest. 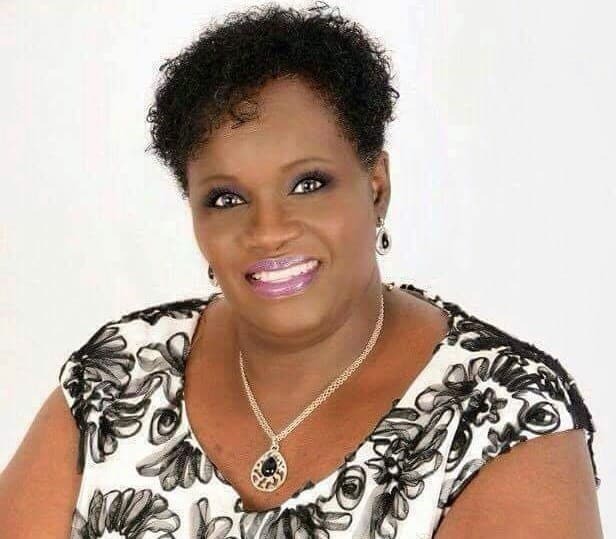 “The black woman has been stereotypically criticized, marginalized, and sexualized for decades, and most of the negative connotations are a misunderstanding or a traditional belief system that has continued to demean the women of our culture,” Dr. Stephens, during an interview this week with Making Headline News, said, explain in detail the developments that fueled her desire to write an awe-inspiring book. It is, by all accounts, due in large part to this assortment of stereotypes that Dr. Stephens deemed it absolutely essential to compose a book that figures to enrich and impact a generation for years to come. 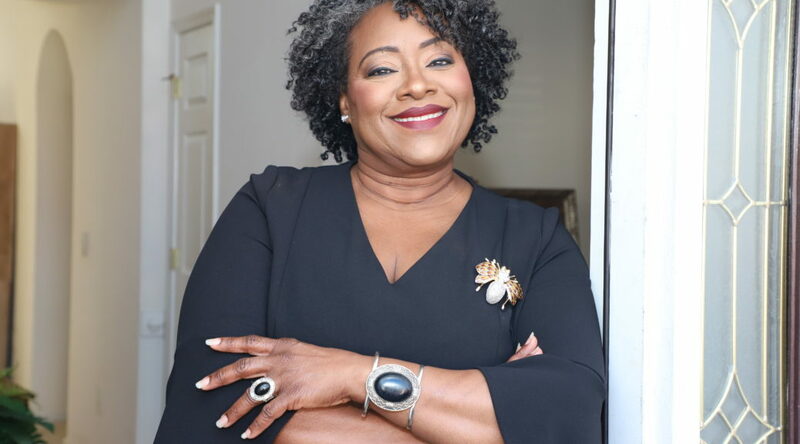 An accomplished Atlanta-area author and businesswoman, Dr. Stephens is responsible for forwarding the book entitled, “I Am A Black Woman, Volume 2,” her much-anticipated sophomore edition that is is widely known as “One Voice” — a project that addresses a variety of pertinent topics, most notably surviving divorce, sexual and physical abuse, broken identity, and mental illness, among other subjects. 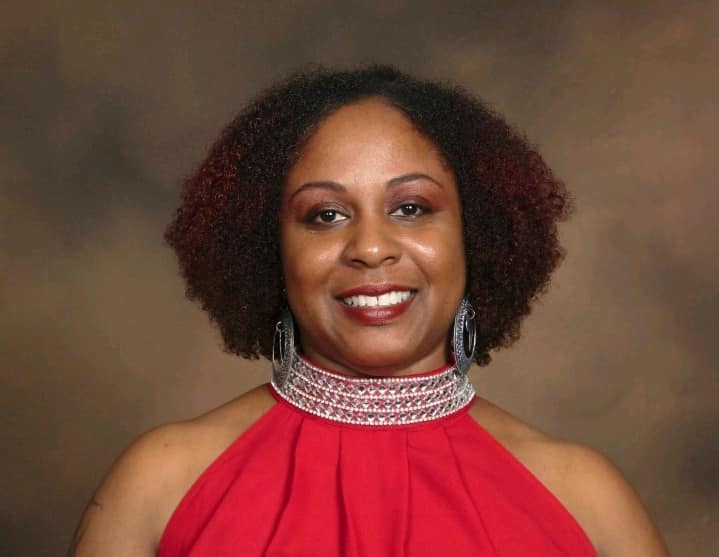 “I decided to construct a book project that would allow black women to have a voice and vocalize their obstacles, processes, and victories,” Dr. Stephens said. 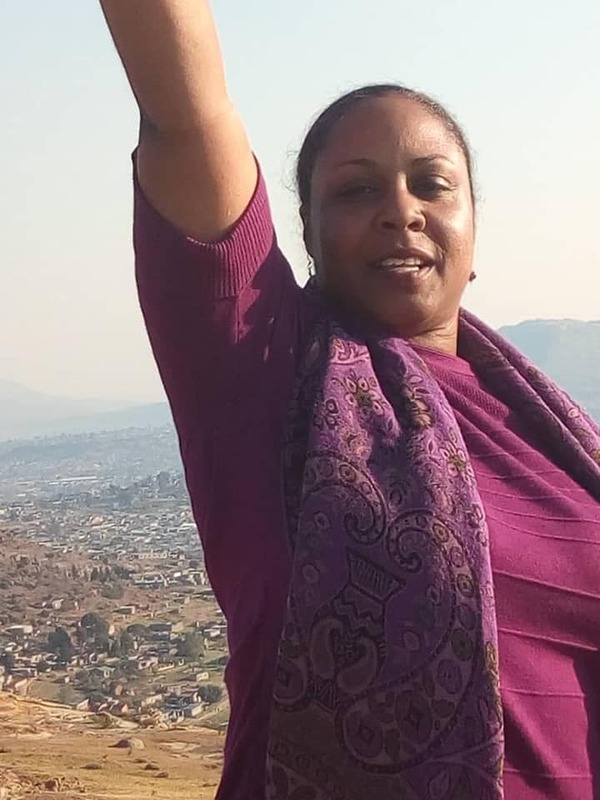 As this gifted author-turned-businesswoman explained, her primary objective for composing a second edition of “I Am A Black Woman” was centered largely on uniting a dozen black women from various walks of life, all of whom demonstrate the courage to share a common goal and vision as a strategic way to create healing, thus establish a sense of unity within their respective community. ON ONE ACCORD — More than anything, Dr. Stephens acknowledged, she’s especially appreciative to the gallery of African-American authors who collectively bought into her massive vision to construct a book that figures to impact a generation and will be promoted in a number of establishments around the country, most notably New York, Alabama, Warner Robins, Georgia, Detroit, as well as Florida, Texas, and Jamaica. 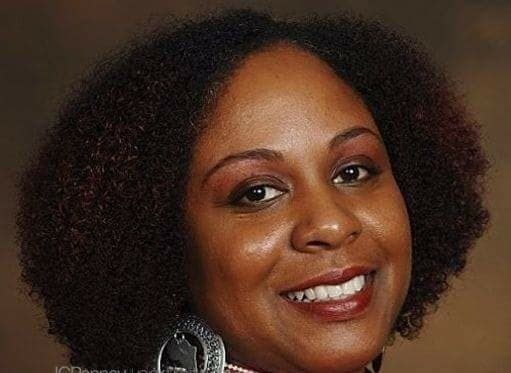 Interestingly, Dr. Stephens — who’s widely known also as a public speaker and a clinical therapist — disclosed a rather intriguing statistic pertaining to the struggles a slew of struggles with which countless of black women customarily endure. 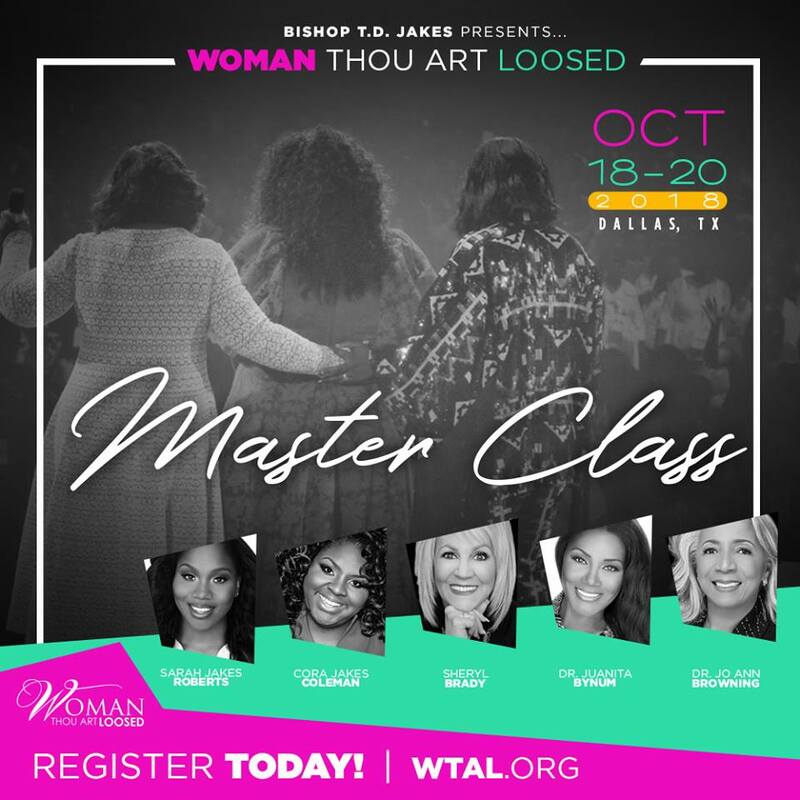 SET ASIDE FOR GOD’S USE — Interestingly, Dr. Stephens — who’s widely known also as a public speaker and a clinical therapist — disclosed a rather intriguing statistics pertaining to the struggles a slew of struggles with which countless of black women customarily endure. More than anything, Dr. Stephens acknowledged, she’s especially appreciative to the gallery of African-American authors who collectively bought into her massive vision to construct a book that figures to impact a generation and will be promoted in a number of establishments around the country, most notably New York, Alabama, Warner Robins, Georgia, Detroit, as well as Florida, Texas, and Jamaica. 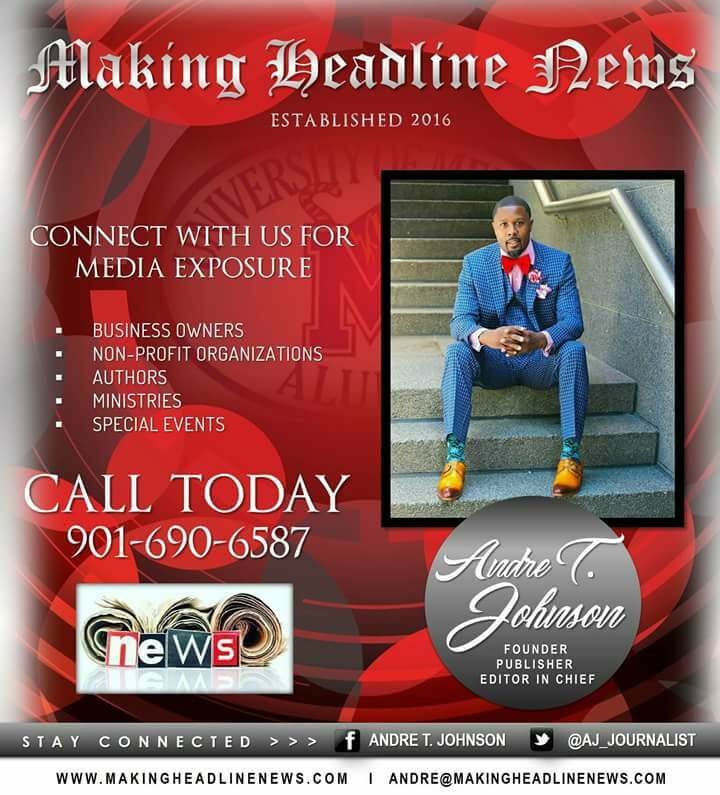 “Myself and the co-authors of IAABW would like to help support the healing process of the black family and see the revival of the black community through love, strength, and prosperity,” Dr. Stephens said. BUT GOD — As this gifted author-turned-businesswoman explained, her primary objective for composing a second edition of “I Am A Black Woman” was centered largely on uniting a dozen black women from various walks of life, all of whom demonstrate the courage to share a common goal and vision as a strategic way to create healing, thus establish a sense of unity within their respective community. Ironically, Dr. Stephens thought it essential to compose a book in a rather similar fashion, or one that would be centered primarily on African-American men. 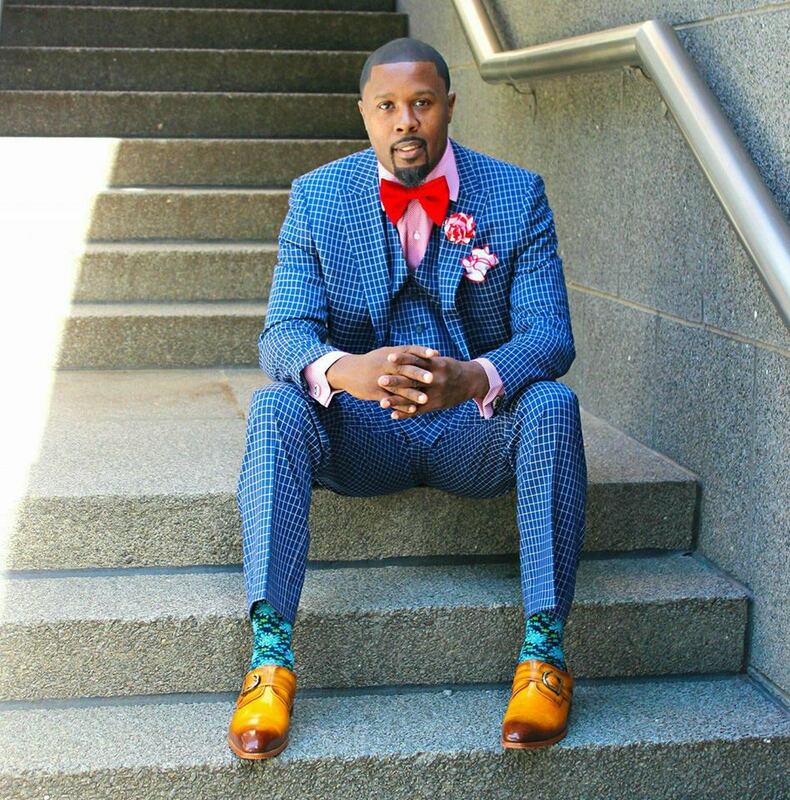 Just recently, Dr. Stephens announced that she will be producing an “I Am A Black Man” book that is slated to be released in October 2019. 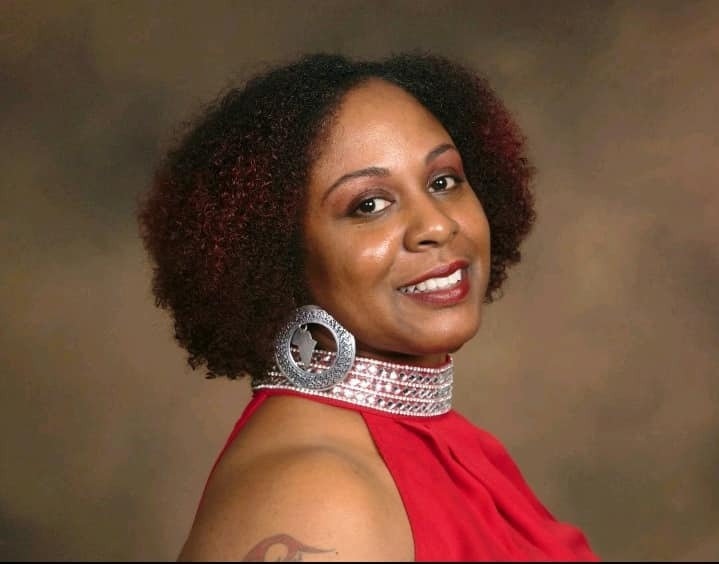 For more information about Atlanta-area Author Dr. Carolyn Stephens, or to order her book, schedule her for a public appearance, a book signing, or speaking engagement, call 404.839.5102, or connect with her via Facebook at: https://www.facebook.com/drcstephens. Also, send email to: dr.carolyn21@yahoo.com. DALLAS — It was a rather turbulent, tumultuous, seemingly unbearable season in Lisa Duffey’s life, one in which it seemed far too insurmountable to bear at times. For Duffey, hearing other writers display a great deal of transparency regarding situations that essentially have shaped their lives for the better, in many aspects, fueled her desire to follow suit. 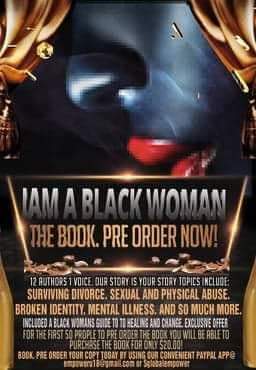 An awe-inspiring, spiritually gut-checking project that is forwarded by Atlanta-area empowerment coach and fellow author Dr. Carolyn Stephens, the sophomore edition of “I Am A Black Woman” is widely known as “One Voice” and addresses a variety of pertinent topics — most notably surviving divorce, sexual and physical abuse, broken identity, and mental illness, among other subjects. For Duffey, that she was afforded the golden opportunity to share of her life-enhancing experiences in the second edition of this book, by all accounts, was a defining moments in the life of a woman who knows full well she’s been set aside for God’s use. That’s because not only has Duffey dauntlessly disclosed of her assortment of testimonies while fortifying pure boldness and confidence but, more than anything, it seems that joining forces with a gallery of Christian-oriented authors has become a clear path toward her purpose. 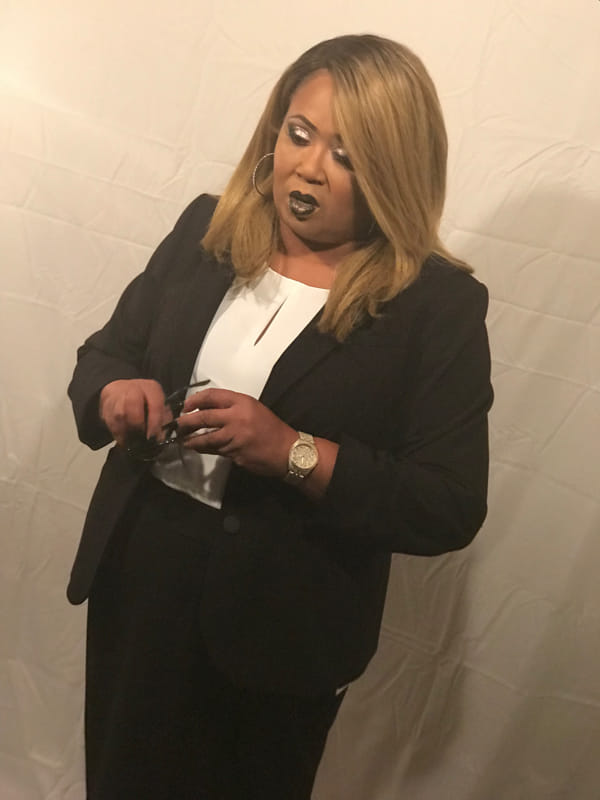 “I chose to write this chapter, because I needed to heal from past hurts — physically and emotionally — and also let other women know that this kind of behavior should not be tolerated from the men in their life,” said Duffey, recalling her stormy, tumultuous past that was mired by her being victimized by a dark season of child molestation. To her credit, the more she customarily grasped the power of forgiveness, the more she began to gain closure to those things that previously kept her bound. GREAT IS THY FAITHFULNESS — For Duffey, hearing other writers display a great deal of transparency regarding situations that essentially have shaped their lives for the better, in many aspects, fueled her desire to follow suit. The more she began to gain closure to those things that previously kept her bound, the more God began to steer her toward her purpose. The more God began to steer her toward her purpose, the more she began to discover just how much her immeasurable gifts were needed, particularly as it pertains to advancing the kingdom. 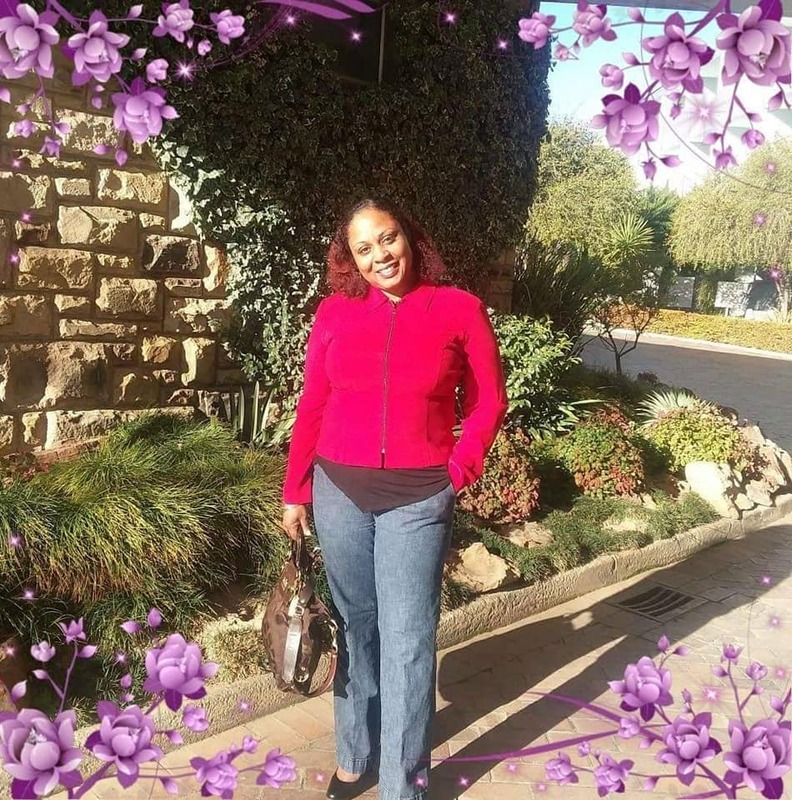 Look at her today, a true, big-hearted and devout woman of faith, pressing and navigating mightily toward her destiny for such a spirited, life-changing time as now. Yep. That’s just like God. Now that she has steadfastly exercised her faith through the world of authorship, Duffey has acknowledged that other books are on the horizon, much sooner than later. 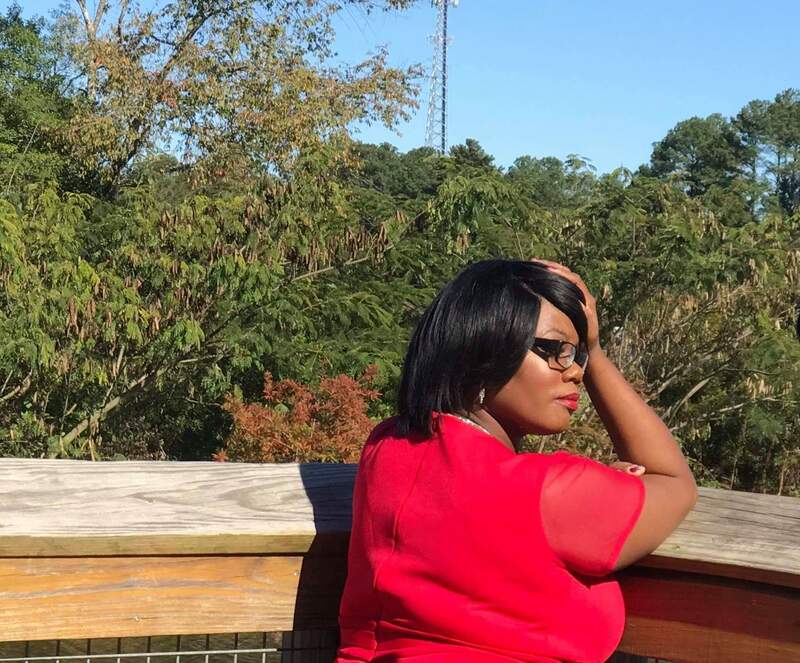 And with “I Am A Black Woman, Volume 2” set to be released in the coming months, this brilliant and talent author has already become the beneficiary of an array of favorable feedback. So much for the rather turbulent, tumultuous, seemingly unbearable season in her life, one in which it seemed far too insurmountable to bear at times. STAY TUNED — Now that she has steadfastly exercised her faith through the world of authorship, Duffey has acknowledged that other books are on the horizon, much sooner than later. A new season, accompanied by new memories, accompanied new mercies — with God, her Helper, leading the way. Still, amongst the things that Duffey has ultimately discovered is that in spite of her slew of hell and high water encounters, God had miraculous plans for her life. Yep. That’s just like God, always providing for us an emphatic, memorable way of escape. 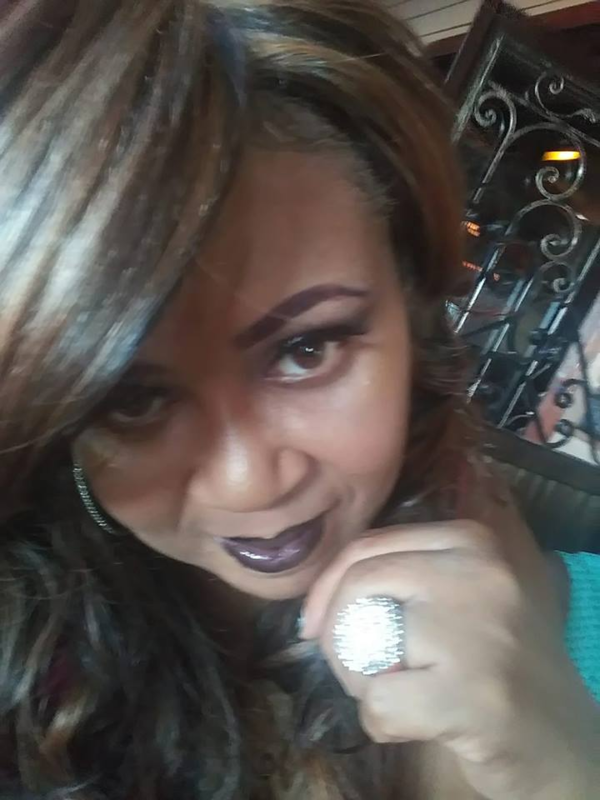 For more information about Atlanta-area Author, Lisa Duffey, or to order her book, schedule her for a public appearance, a book signing, or speaking engagement, connect with her via Facebook at: https://www.facebook.com/profile.php?id=100013254542525. Also, send email to: lblocker27@outlook.com. 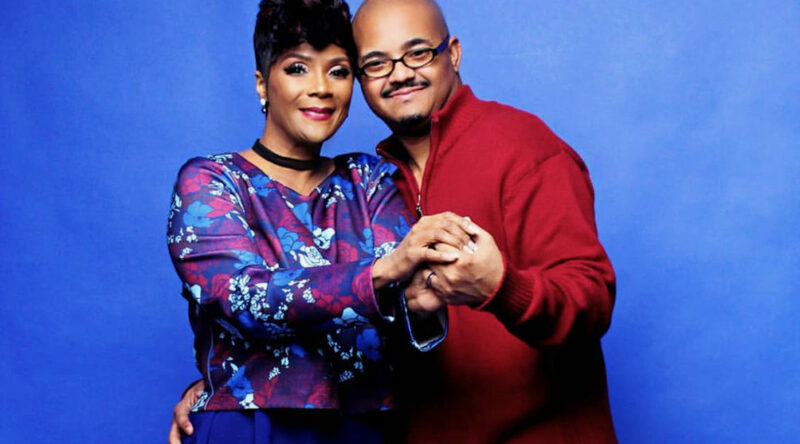 DALLAS — Dr. Cheryl Minter isn’t just widely known for the being the Founder and Senior Pastor of Anointed Word Life Center in East Point, Georgia. 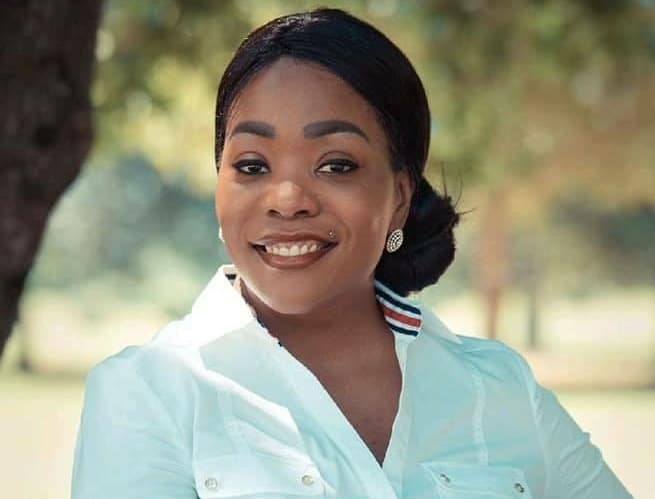 Because of whom she is and because of the God-mandated calling on her life, she’s positioned herself to lead God’s people around the word, most notably through her immeasurable gifts as an author. 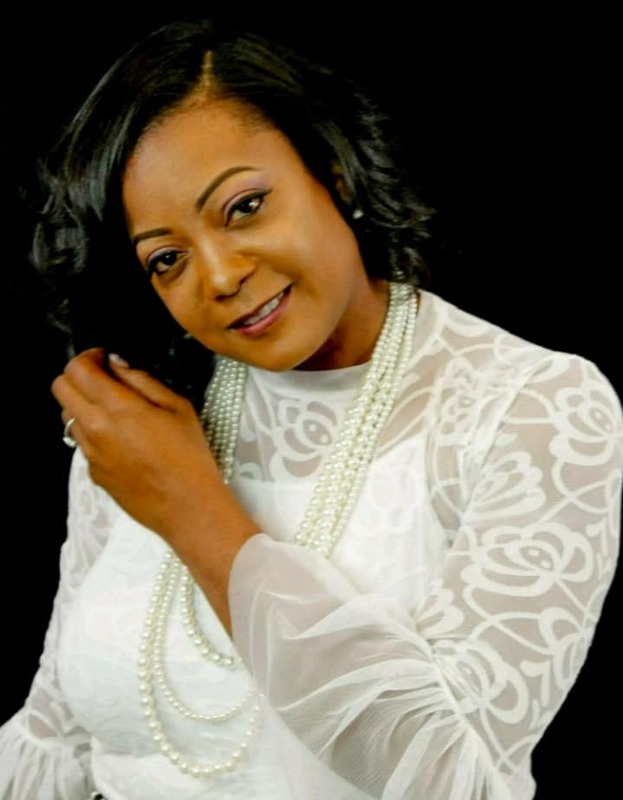 A native of Macon, Georgia, Minter has been blessed to compose five books to date, one of which is entitled, “Go Get Your Blessing,” her latest project she had co-written with her daughter, Brittany Ross. 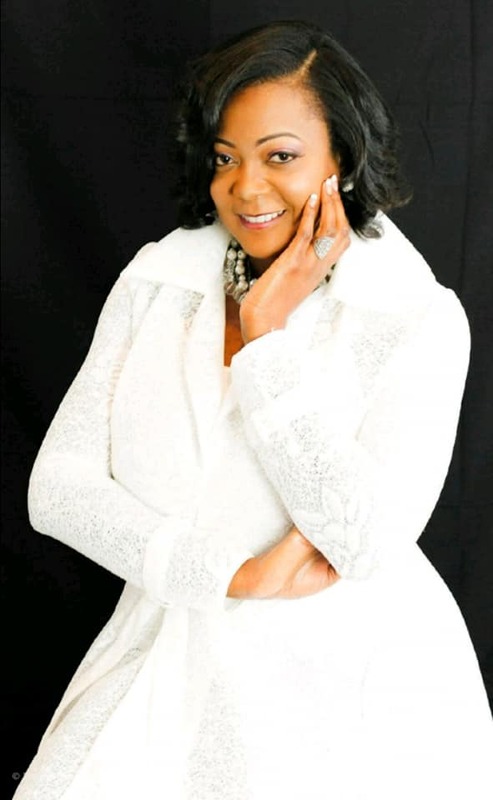 GOD’S LEADING LADY — A native of Macon, Georgia, Dr. Cheryl Minter has been blessed to compose five books to date, one which is entitled, “Go Get Your Blessing,” her latest project she had co-written with her daughter, Brittany Ross. 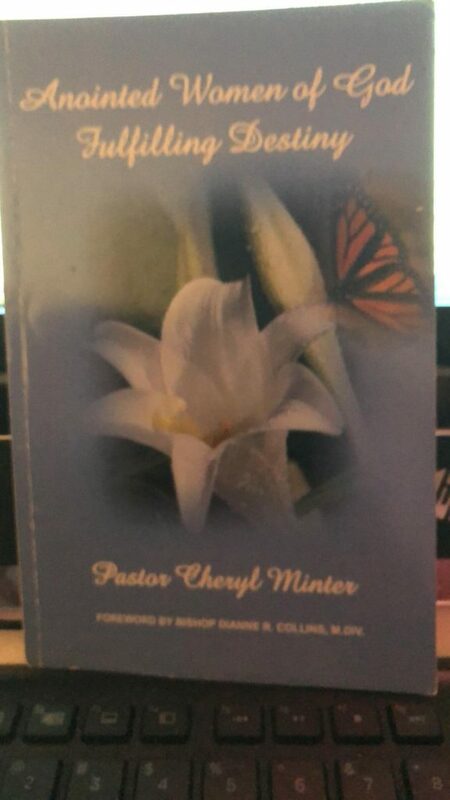 Not only has Dr. Minter been blessed with the ideal platform to bless and enlighten the masses of her assortment of awe-inspiring testimonies that have helped shape and mold her into a monumental beacon of light throughout the Body of Christ, but her transparency through her books is steadily helping lure people to Christ. 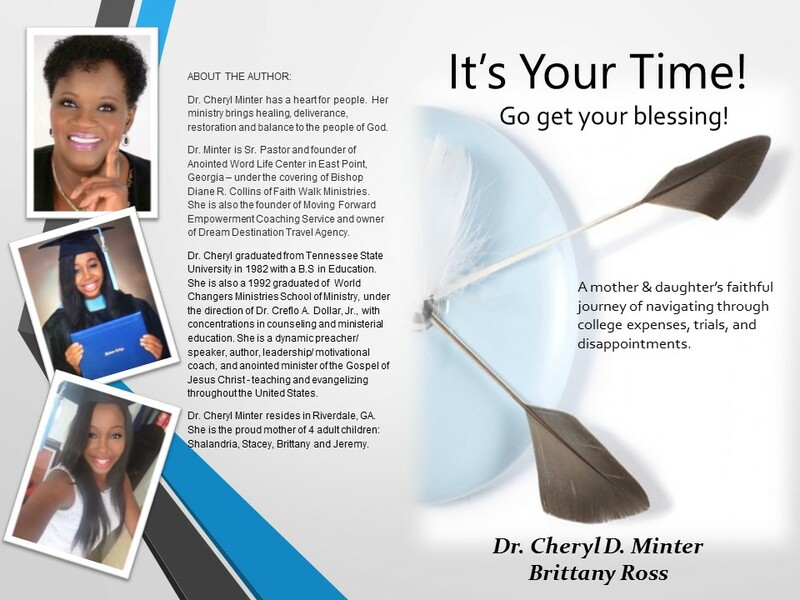 A 1982 graduate of Tennessee State University with a Bachelor of Science Degree in Education, it wasn’t until approximately 11 years after Dr. Minter had caught the vision to become an author that “God’s Anointed Word Fulfilling Destiny,” her first published written work, had come full circle. To her credit, it seemed that once book No. 1 had made its much-anticipated presence on the market, others would soon follow. 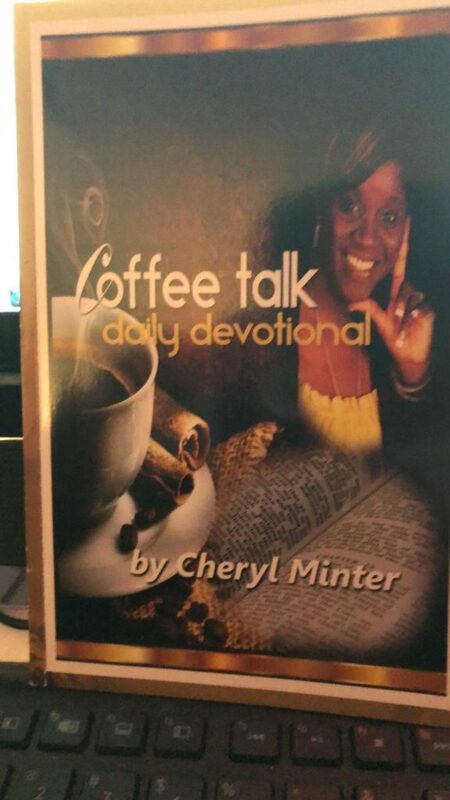 That’s because in 2013, Dr. Minter’s Coffee Talk Part 1 was officially released, followed by Coffee Talk Part 2 in 2014. COFFEE ANYONE? 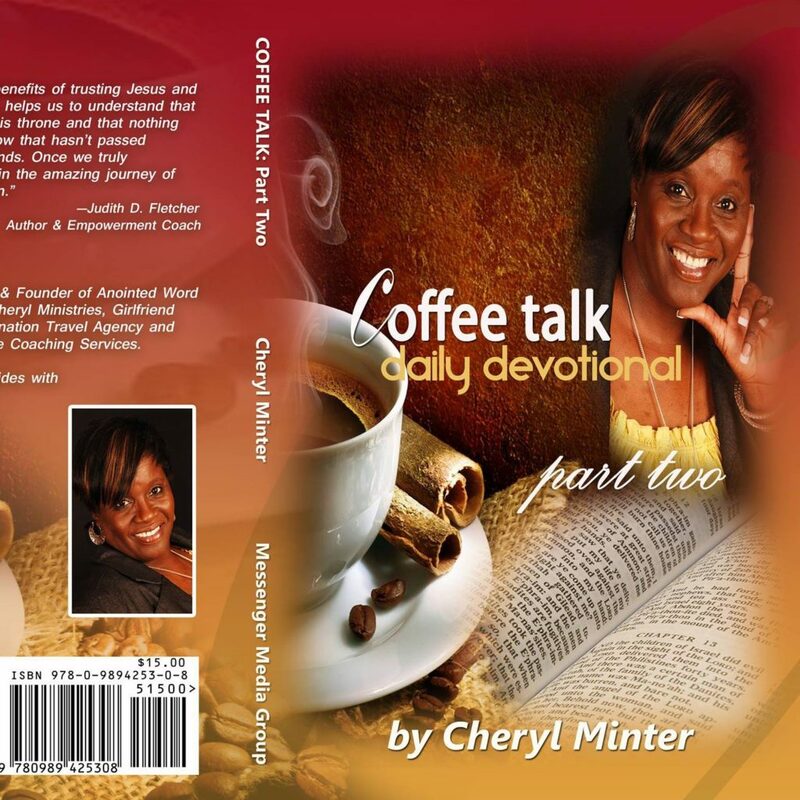 In 2013, Dr. Minter’s Coffee Talk Part 1 was officially released, followed by Coffee Talk Part 2 in 2014. 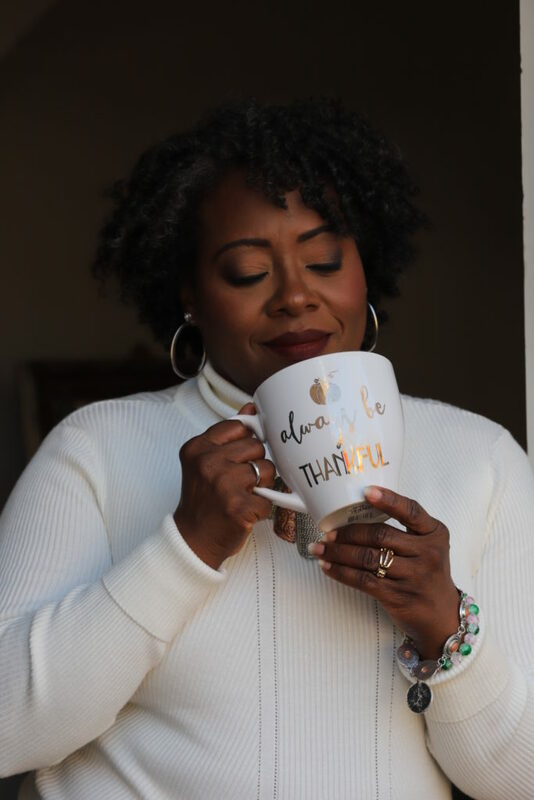 Not to be outdone, Dr. Minter would join forces with 14 other authors to compose a collaborative written document entitled, “Second Chance Living,” an intriguing and informative project that was released just months after the second edition of Coffee Talk. And then there is her latest book, “Go Get Your Blessing,” a book in which she paired with her daughter to assemble and is nearly three years removed since its release. Interestingly, Dr. Minter emphasized, among other things, why many of God’s people fail to fully adhere to these spiritual attributes. 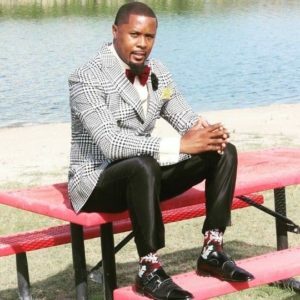 At this point during the interview, a full-fledge sermon had broken out by one of the Body of Christ’s most accomplished pastors-turned-authors. 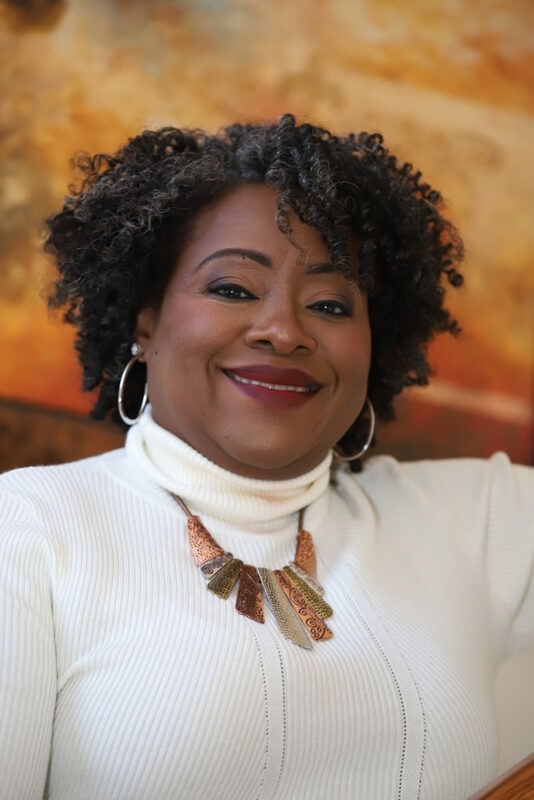 In a nutshell, Dr. Minter acknowledged, what it all boils down to is our willingness to simply step out on faith, which seems to be the featured theme of her gallery of books. “Our leaping causes us to reach and touch people we never imagined,” Dr. Minter said. 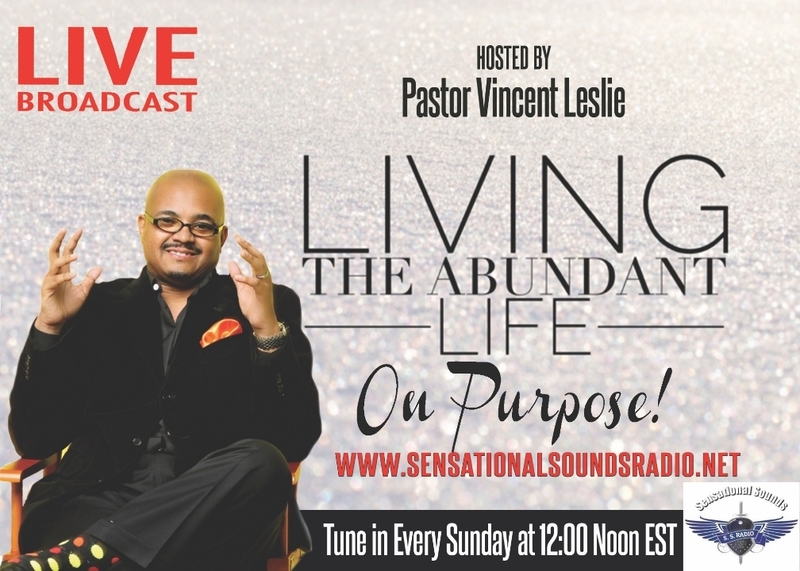 “This process not only provides for others, but it provides something for us as well. 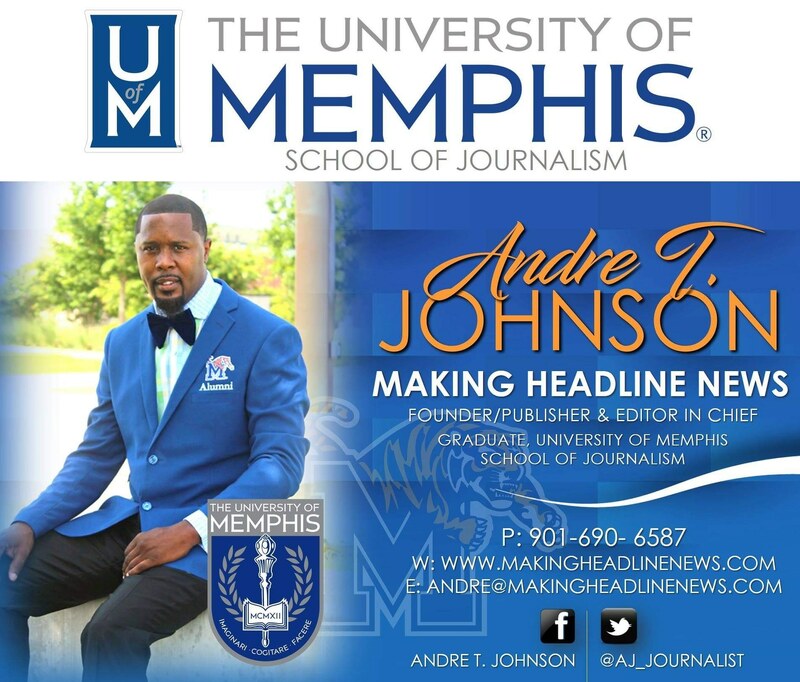 Generally, the feedback since the release of her books has been positive for the most part, said Dr. Minter, a divorced mother of four children, three of whom have earned college degrees, the other having acquired certification from trade school. “And everyone is doing fine with the help of God,” said Dr. Minter whom, to her credit, is steadfastly proving to be a global beacon of light, most notably through her immeasurable gifts as an author. 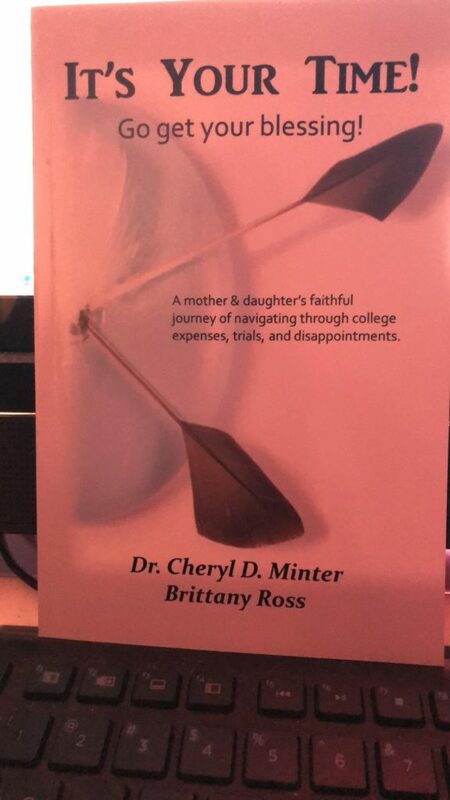 For more information about Georgia Author, Dr. Cheryl Minter, or to order her books, schedule her for a public appearance, a book signing, or speaking engagement, call 404.454-5249. Also, send email to: cherylminter37@gmail.com. 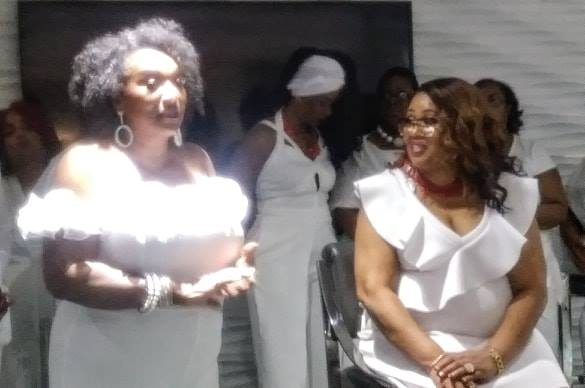 Sylinda Mumphery’s spiritual reputation is such that she has a heart for embracing women who have emerged as feel good stories. Such will be the case when Mumphery host the third annual RTB Winning Women Awards Ceremony on March 16 in Smyrna, Georgia. 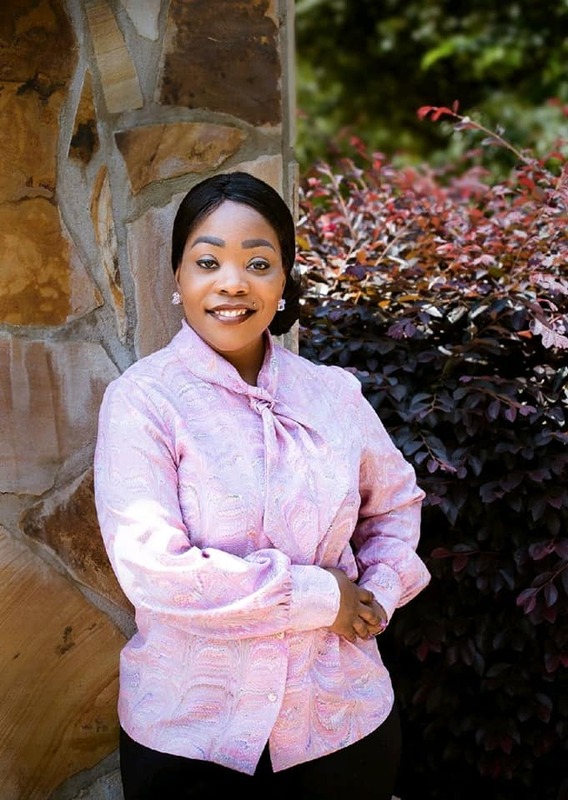 HEART FOR GOD’S PEOPLE — Atlanta-area businesswoman Sylinda Mumphery’s spiritual reputation is such that she has a heart for embracing women who have emerged as feel good stories. Such will be the case when Mumphery host the third annual RTB Winning Women Awards Ceremony on March 16 in Smyrna, Georgia. 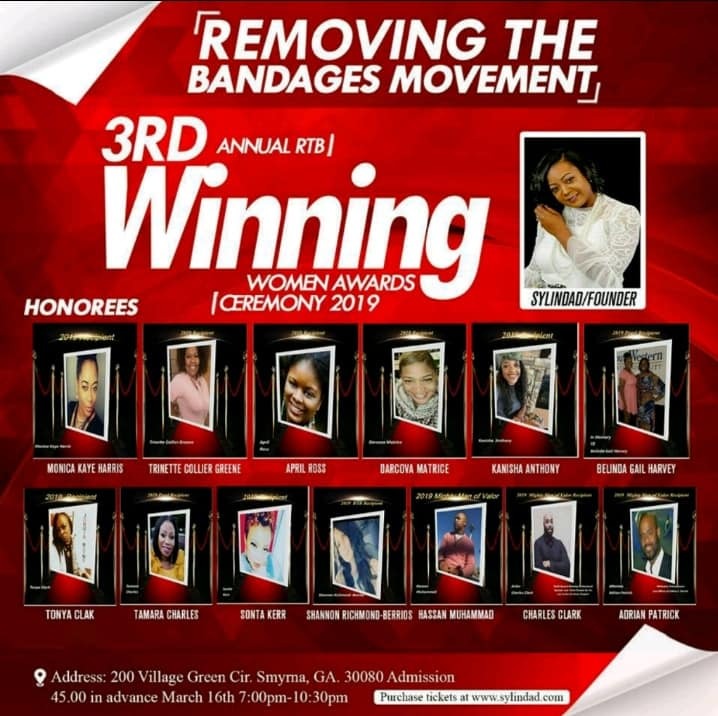 Powered by Women’s History Month, the RTB (or Removing The Bandages) Winning Women Awards Ceremony will take place at the Smyrna Community Center, located at 200 Village Green Circle SE. 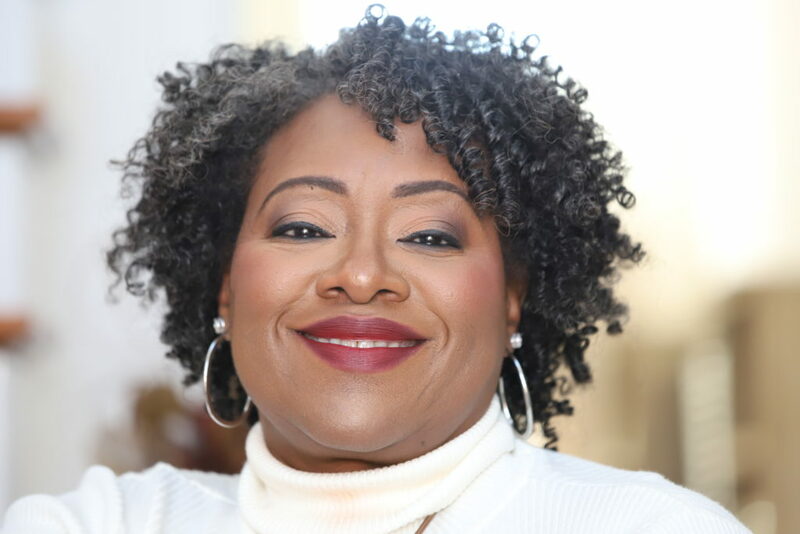 The owner and CEO of SylindaD, LLC, Mumphery’s RTB Winning Women Awards Ceremony is a three-day event that will commence with a with an opening-day meet-and-greet on Friday, March 15. The actual event will begin the next day and will culminate on Sunday with attendees engaging in morning worship and brunch. 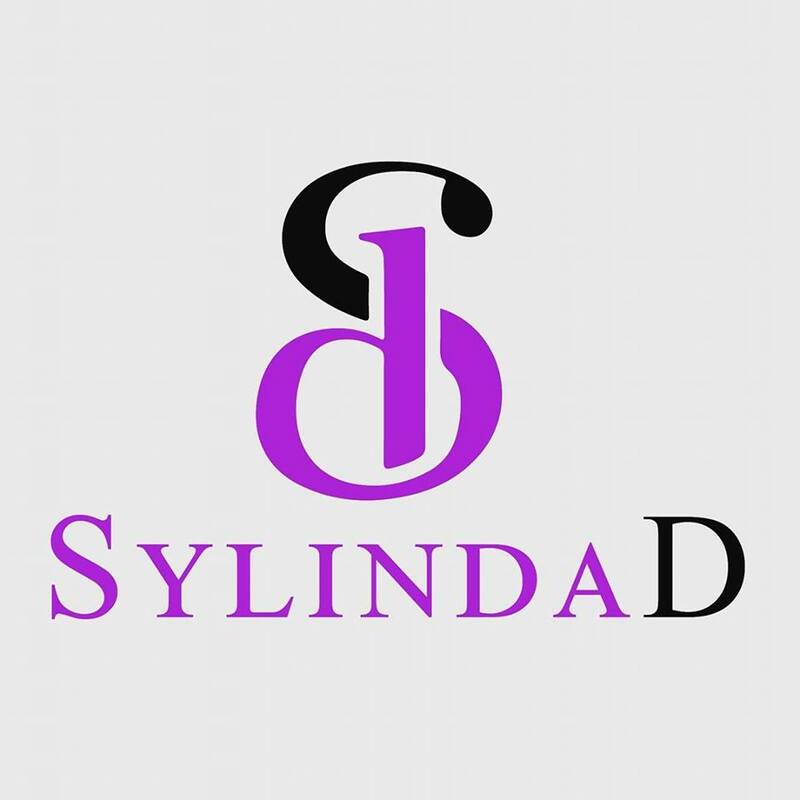 Tickets can be purchased at http://www.sylindad.com/. 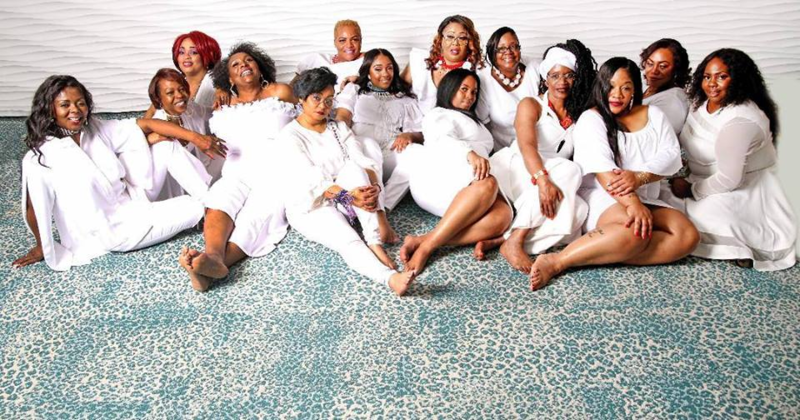 “It’s a full weekend of sisterhood, empowerment, love and excitement,” Mumphery said. 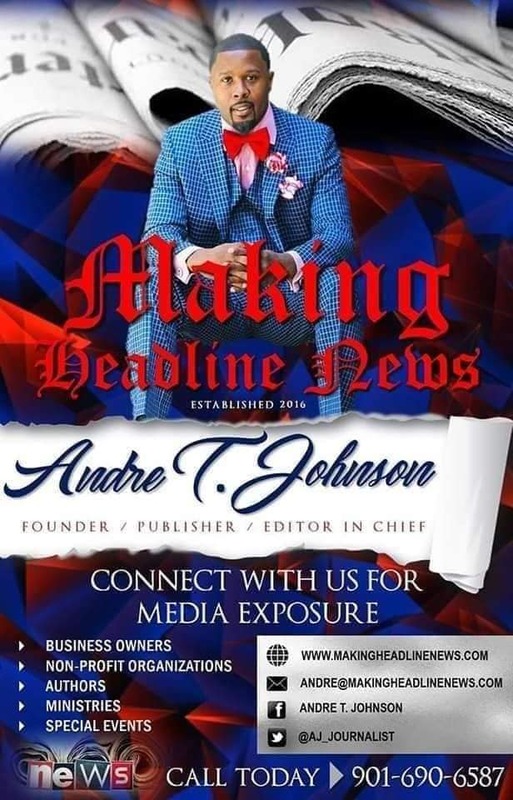 Interestingly, for the time since the inception of Mumphery’s awards ceremony, there will be a segment that will be centered on honoring men, most notably three recipients who will become beneficiaries of the Mighty Man of Valor Awards. Having described the feedback as “incredible” since the inception of her event, Mumphery emphasized the RTB Winning Women Awards Ceremony essentially is a platform, of sorts, for those being honored to tell their stories and testimonies of how God spared their lives and how they’ve had to overcome a slew of obstacles in order to continue standing strong, she said. 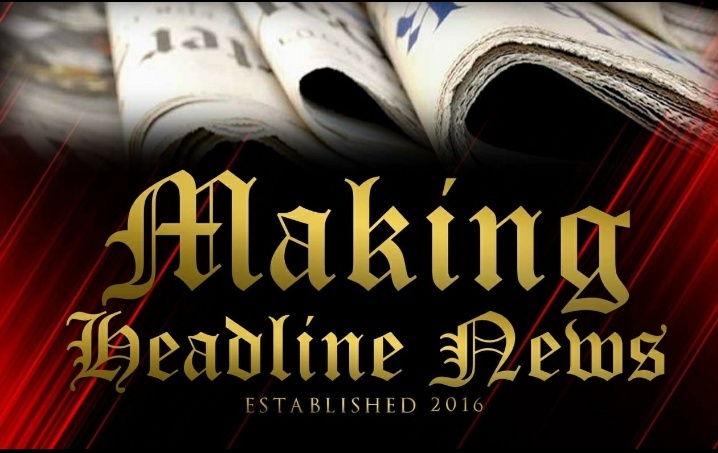 HATS OFF TO YOU BROTHAS — Interestingly, for the time since the inception of Mumphery’s awards ceremony, there will be a segment that will be centered on honoring men, most notably three recipients who will become beneficiaries of the Mighty Man of Valor Awards. 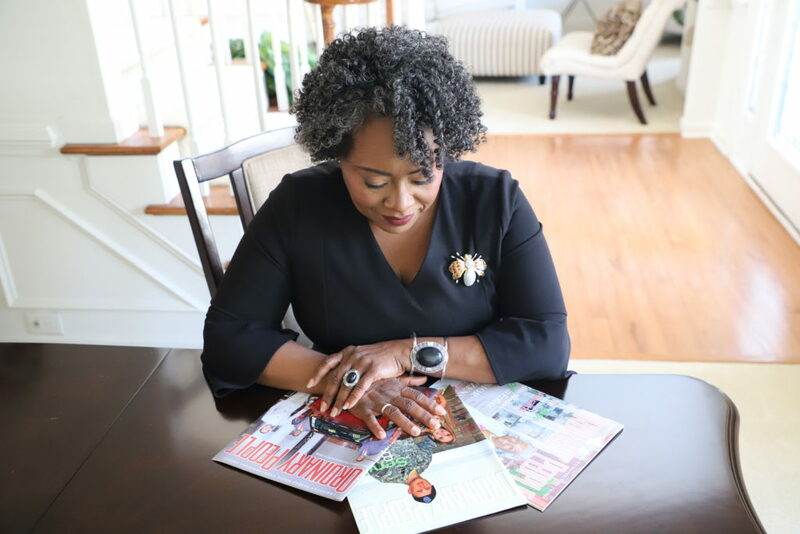 “For some, it’s their first time ever being honored or telling their story,” said Mumphery, who’s also an accomplished author, mentor, speaker, and an Atlanta-area radio talk show host. “So often we experience life’s interruptions and become blindsided, because we never expected certain situations, incidents, or tragedies to affect us directly. Much to her delight, Mumphery’s assortment of hardships and personal tragedies throughout the years have never caused her waver. If nothing else, such unfavorable circumstances only fueled her desire to press and navigate toward her destiny, most notably through a movement that had become a fixture throughout the Body of Christ. LETTING HER LIGHT SHINE — Having described the feedback as “incredible” since the inception of her event, Mumphery emphasized the RTB Winning Women Awards Ceremony essentially is a platform, of sorts, for those being honored to tell their stories and testimonies of how God spared their lives and how they’ve had to overcome a slew of obstacles in order to continue standing strong, she said. “(The) Removing The Bandages Movement was birthed out of brokenness,” Mumphery said. “I never knew that God could take broken pieces and create beautiful art. 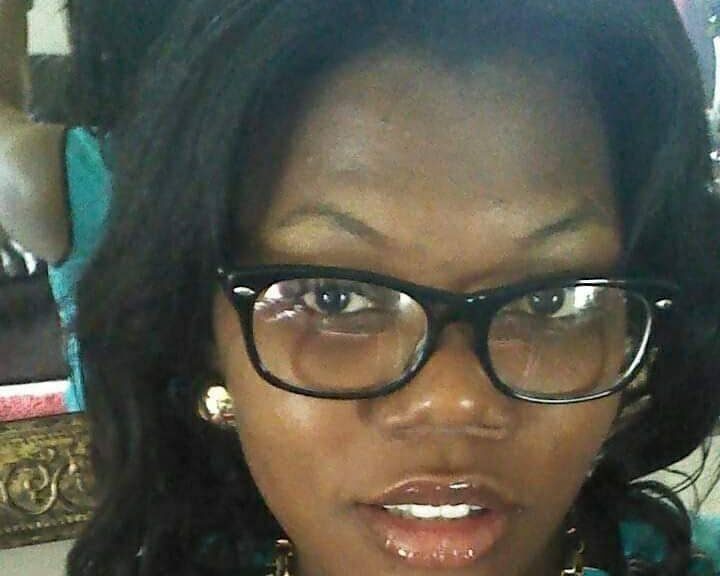 After having two breast cancer scares and almost losing my left breast, I was hurt and ashamed of my wound. I thought that if I wore bandages daily, that I would not notice the scars. Even after losing everything and facing divorce, I thought that makeup, expensive jewelry, expensive car, shoes and clothes would cover the pain. 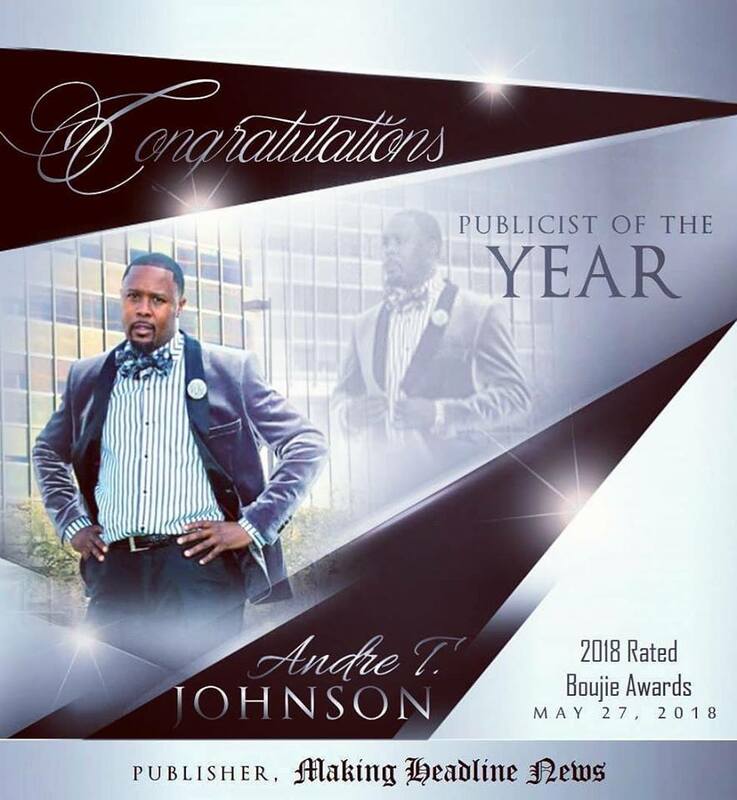 For more information about Sylinda Mumphery’s third annual RTB Winning Women Awards Ceremony,” log on to: http://www.sylindad.com/. 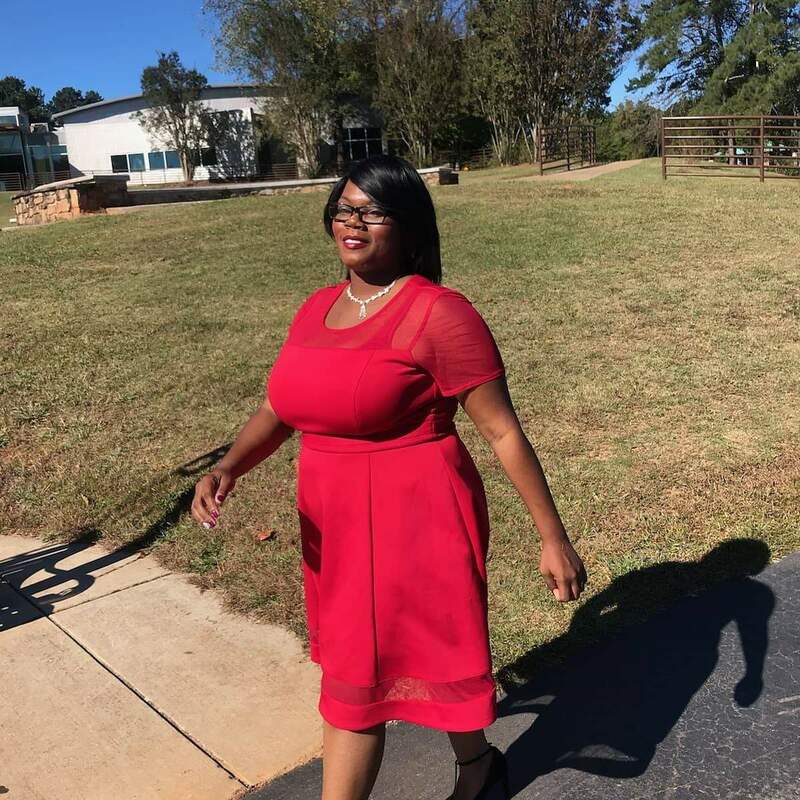 Shortly after midday EST on Thursday, Shawonia Thomas took to her Facebook timeline, where she staged a rather intriguing, spirited image that displayed a familiar Biblical passage. The scripture reddish colored image reads: God is our refuge and strength, a very present help in trouble. 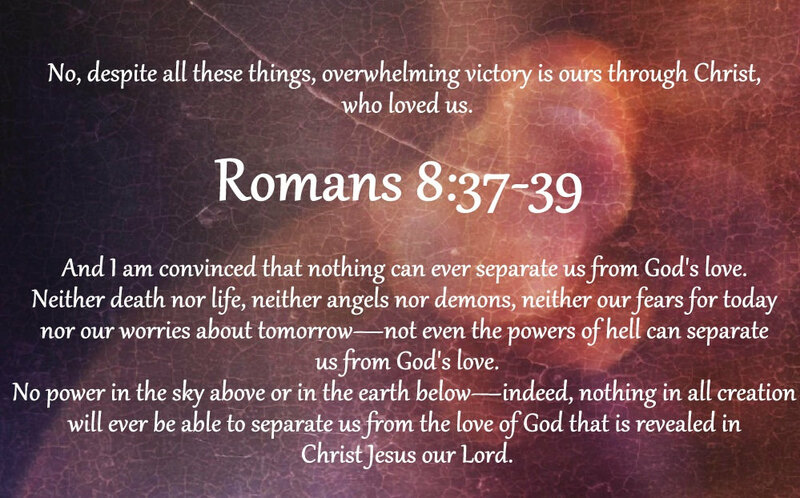 For the record, Thomas, a devout woman of faith, deemed it necessary to share before her 500-plus social media followers such an empowering passage for a variety reasons. 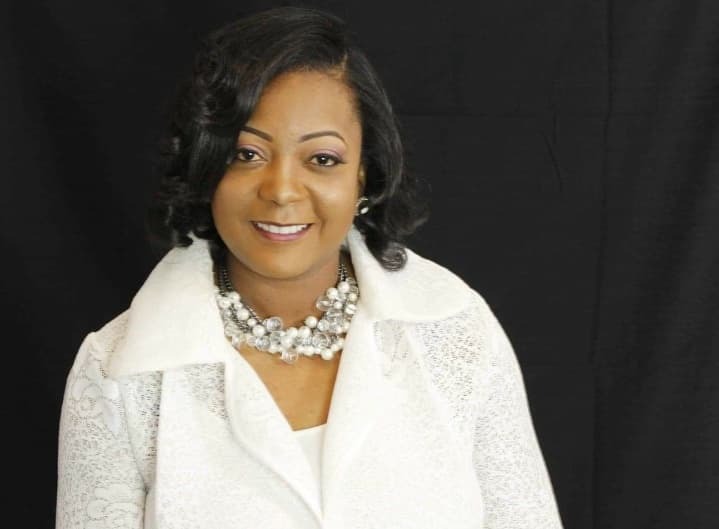 THE PROVERBS 31 FACTOR — That Atlanta-area author Shawonia Thomas steadfastly obeyed the Voice of God by joining forces with Flint, Michigan businesswoman Precious Brown and a few other accomplished writers to assemble the spiritually empowering book, “I Rise, Living Beyond The Bruises,” has benefited her mightily, particularly as she continues to share with the masses how God has strategically moved of her behalf for such a time as now. 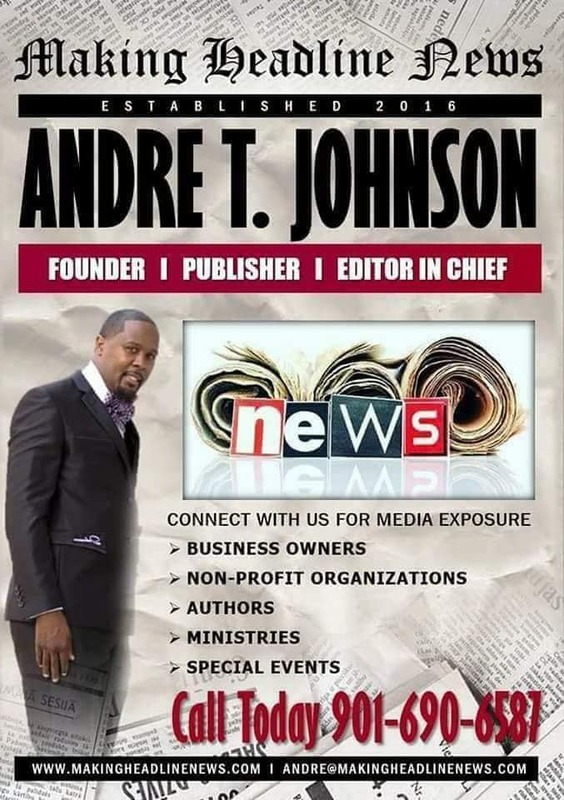 That Thomas steadfastly obeyed the Voice of God by joining forces with Flint, Michigan businesswoman Precious Brown and a few other accomplished writers to assemble the spiritually empowering book, “I Rise, Living Beyond The Bruises,” has benefited her mightily, particularly as she continues to share with the masses how God has strategically moved of her behalf for such a time as now. 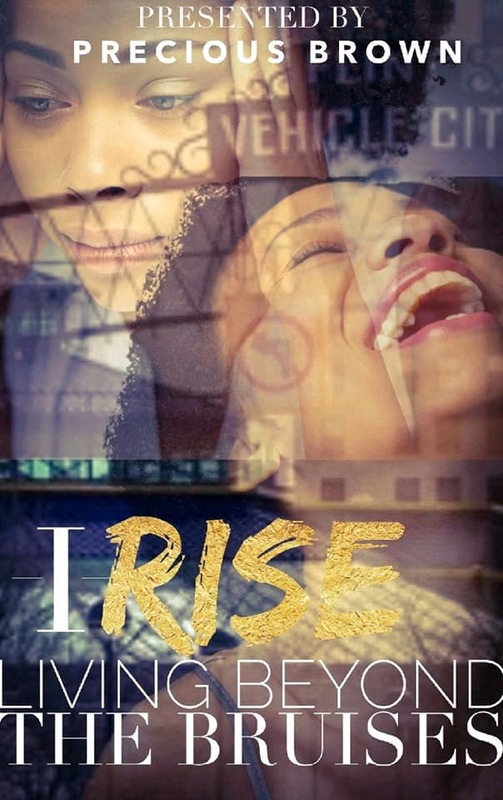 A book that is forwarded by Brown, the founder and CEO of Kilgore Publishing, “I Rise, Living Beyond The Bruises” is scheduled to be officially released in December. Having begun contributing to this awe-inspiring book in May 2018, Thomas recently completed her segment which, to her credit, is a testament of her immeasurable body of work as an author. As for her latest project, Thomas emphasized, among other things, that had it not been for the Lord, Who is on her side, there’s no telling where she’d be. 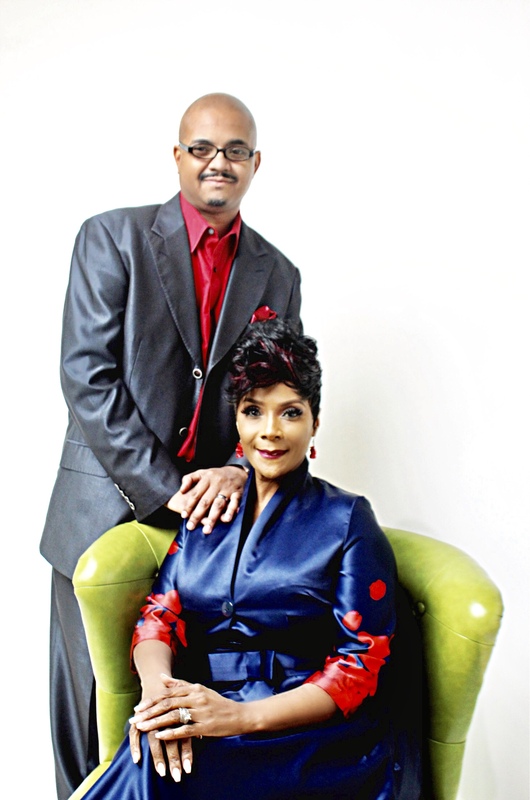 By and large, while such a suggestion is synonymous to the words of a familiar classic gospel song, Thomas would be the first to admit that, well, she’s a living testimony. 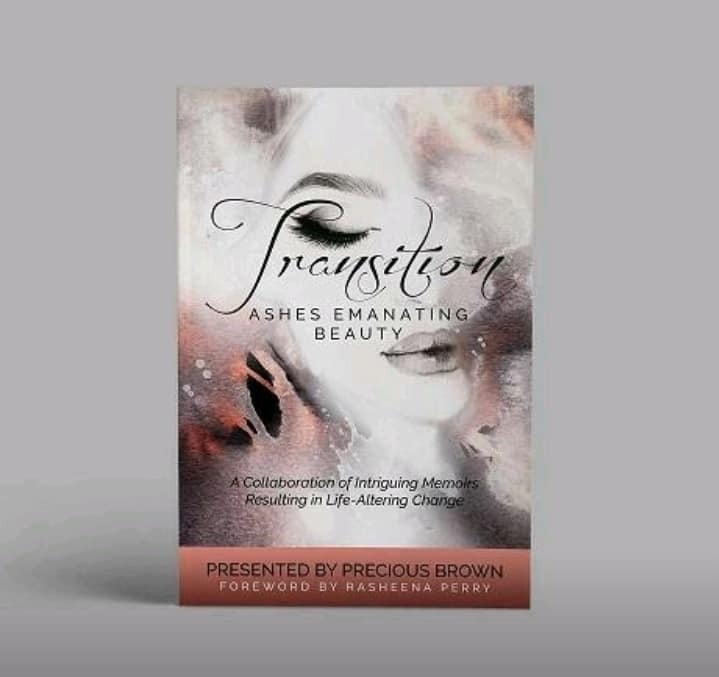 DESTINY UNFOLDED — A book that is forwarded by Brown, the founder and CEO of Kilgore Publishing, “I Rise, Living Beyond The Bruises” is scheduled to officially release in December. As Thomas vividly recalls, God essentially revealed to her in a dream that He was positioning her to form a kingdom-based, life-enhancing connection not just with Brown and Co., but other women in the Body of Christ. Much to her delight, one spiritually enhancing development had ultimately led to another. 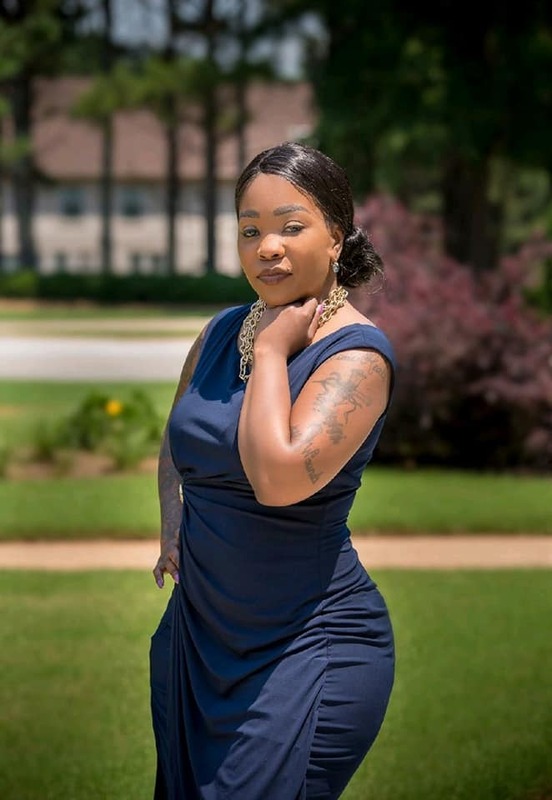 As for sharing her story in her latest written document, Thomas said her great deal of transparency was extremely vital as it relates to appropriately getting her message across to those who need to read and hear of it. 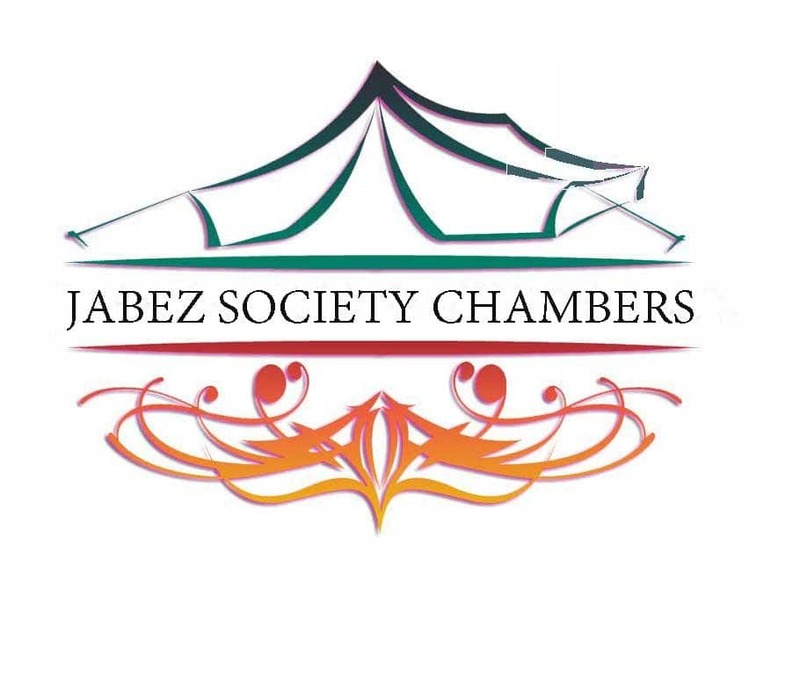 While her Jabez Society organization appears to be her primary focus in the meantime, Thomas has not ruled out the notion that she will compose other books. WHEN GOD SHOWS UP — As Thomas vividly recalls, God essentially revealed to her in a dream that He was positioning her to form a kingdom-based, life-enhancing connection not just with Brown and Co., but other women in the Body of Christ. 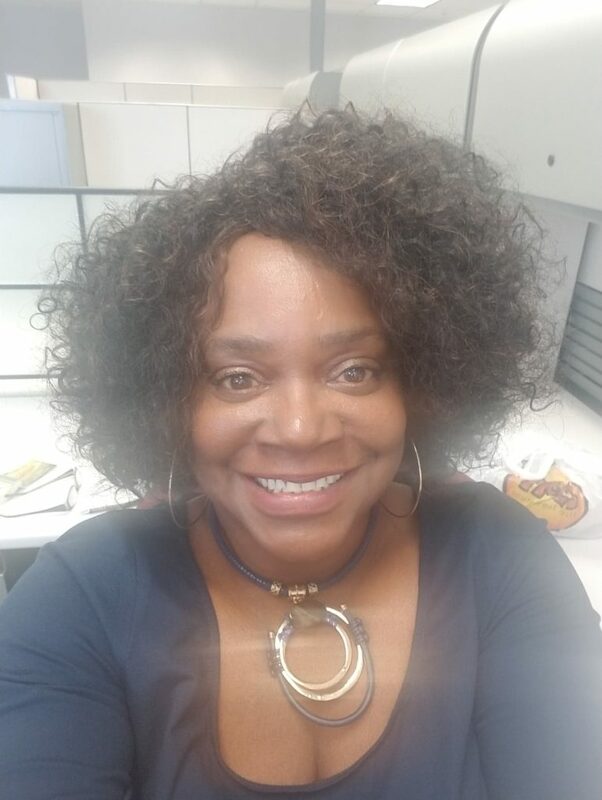 “Although I am sharing my story, that does not exempt me from learning more on how to overcome,” said Thomas, who is schedule to be on hand for Brown’s I Rise Women’s Empowerment Conference in Flint in April 2019, during which she will be a presenter and be a part of a book signing. 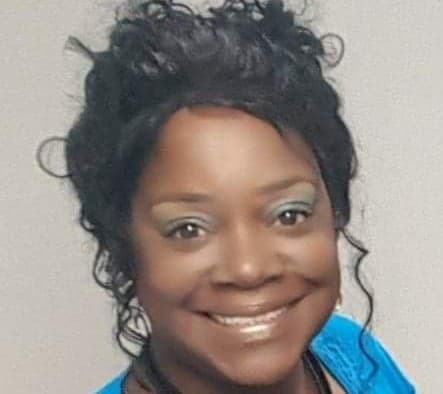 For more information about Atlanta-based Author Shawonia Thomas, or to schedule her for a public appearance, a book signing or speaking engagement, connect with her via Facebook under: Shawonia Thomas. 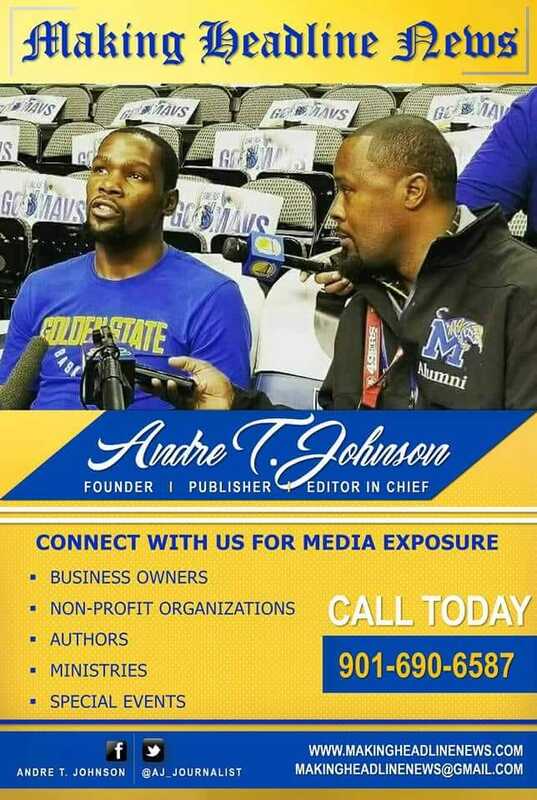 Also, send email to: sdtb1973@gmail.com. 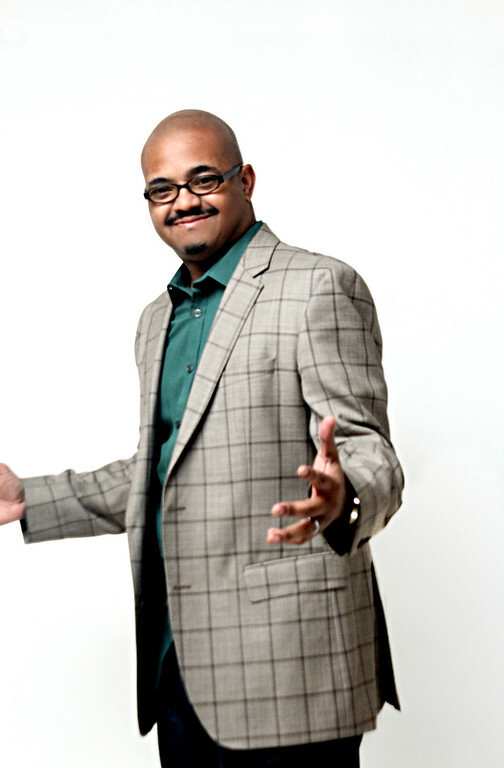 Shonta L. Thomas is a poet. For the record, she’s a pretty darn good and resourceful one in her own right. 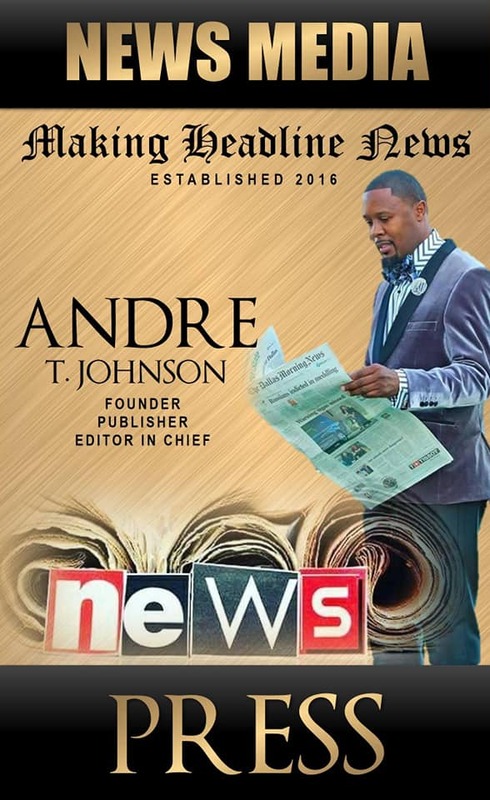 “I’ve actually wanted to write this book for some time now…like for years,” Thomas told Making Headline News this week. 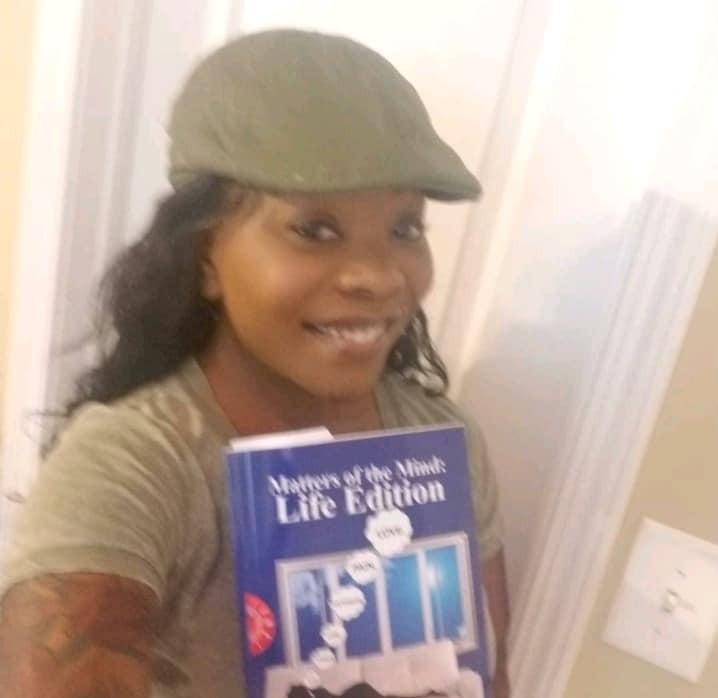 THING OF BEAUTY — A book that is comprised of an array of this writer’s intriguing poems, Shonta L. Thomas’ primary objective for composing “Matters Of The Mind: Life Edition” is centered largely on various situations that are often experienced in people’s lives. 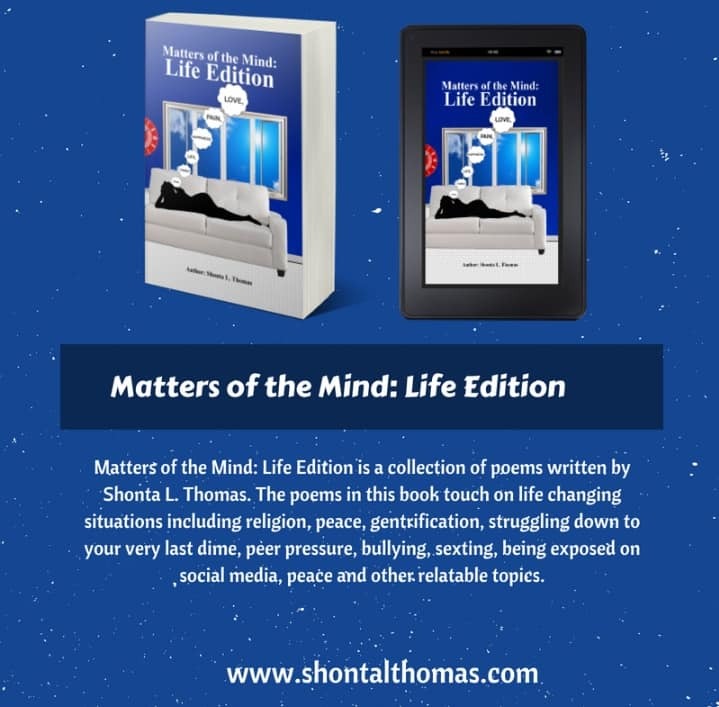 A book that is comprised of an array of this brilliant writer’s intriguing poems, Thomas’ primary objective for composing “Matters Of The Mind: Life Edition” is centered largely on various situations that are often experienced in people’s lives. Interesting, Thomas’ authorship debut surfaced in the aftermath of her having — for a lack of better words — essentially getting out of her own way. 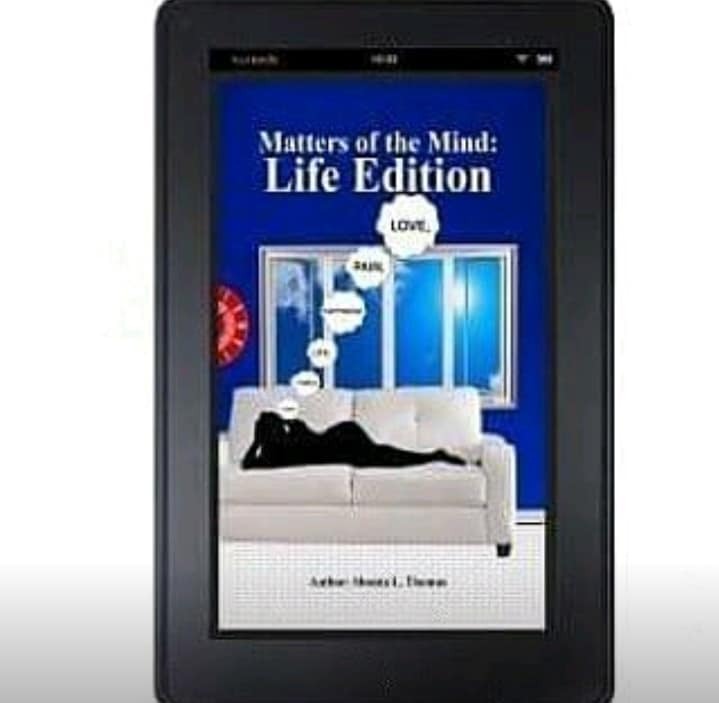 BUY IT NOW — Thomas’ “Matters Of The Mind: Life Edition” was officially released on August 15. 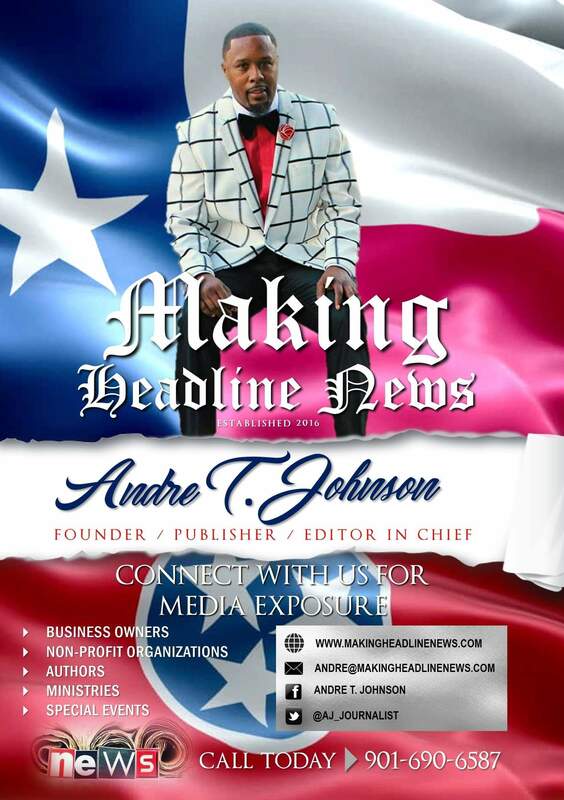 “God blessed me with the motivation and vision to start writing again and to consolidate my poems into a book in the latter half of 2017,” Thomas, a native of Jacksonville, Florida, recalled. For Thomas, it is an awe-inspiring project that had ultimately come to fruition, courtesy of the purpose for which God created her. 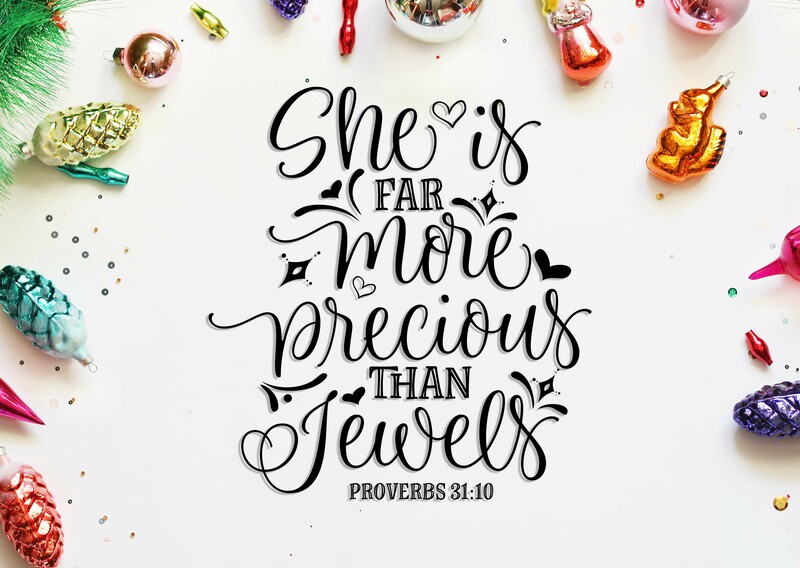 THE PROVERBS 31 FACTOR — Although her initial book is filled with poems, Thomas doesn’t shy away from the notion that is it, by all accounts, a part of her divine purpose. As for the divine message she appropriately aspires to send to her reading audience through her newly-produced masterpiece, Thomas has emphasized time and again that “no one is alone out here,” particularly as it pertains to journeying through this very thing called life. 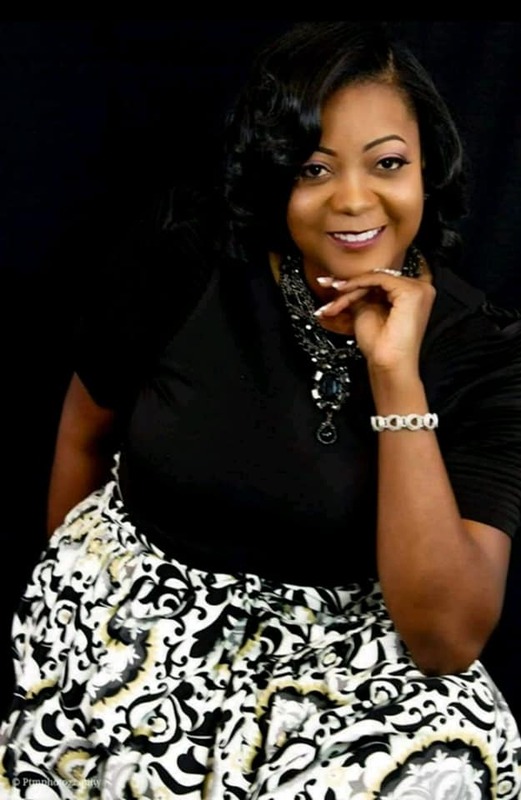 For what it’s worth, her wealth of experience as a licensed professional counselor and a board certified counselor has benefited her mightily, most during the course of assembling her new book, thus getting her messages across to her reading audience. 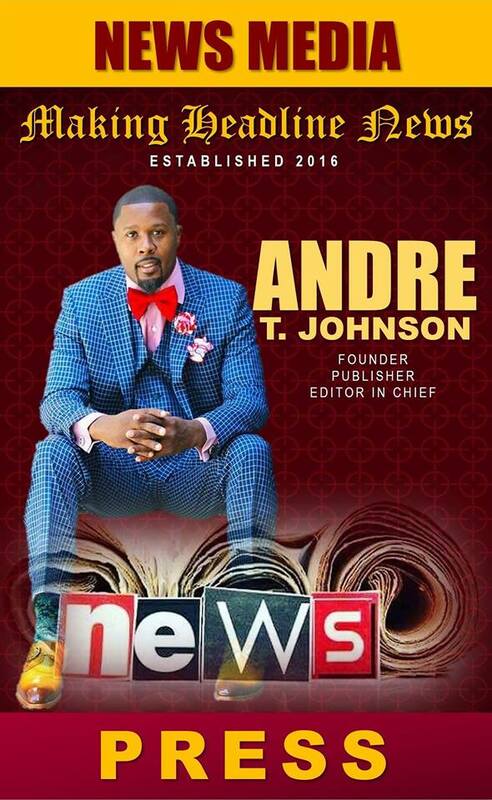 Since her book had become available nationwide this week, Thomas said the feedback has been favorable, as expected. 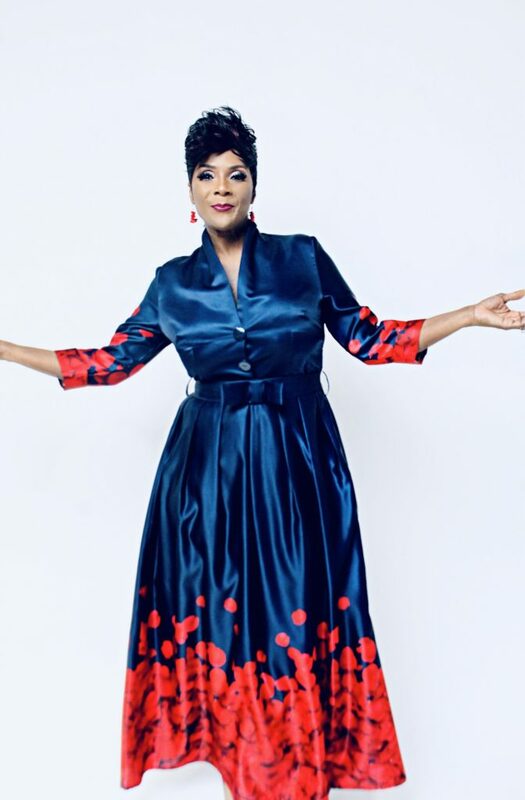 TRUSTING THE PROCESS — As for the divine message she appropriately aspires to send to her reading audience through her newly-produced masterpiece, Thomas has emphasized time and again that no one is alone out here, particularly as it pertains to journeying through this thing called life. Although her initial book is filled with poems, Thomas doesn’t shy away from the notion that is it, by all accounts, a part of her divine purpose. Given the lofty strides she’s made since becoming an author, it’s safe to assume that Thomas undoubtedly has adopted a passion for writing books. That’s because she has announced that other written documents are presently in the works, most notably “The Strength To Leave: Identifying, Accepting And Walking Away from Red Flag Behaviors And Situations In Your Relationships,” which is scheduled to be released in October 2018. As for her itinerary, during which she will be afforded the opportunities to promote her books, Thomas is scheduled to appear at a domestic violence event on October 20 in Baltimore called 50 Shades Of Blue. During this assembly, Thomas will specifically promote her forthcoming new book, she said. 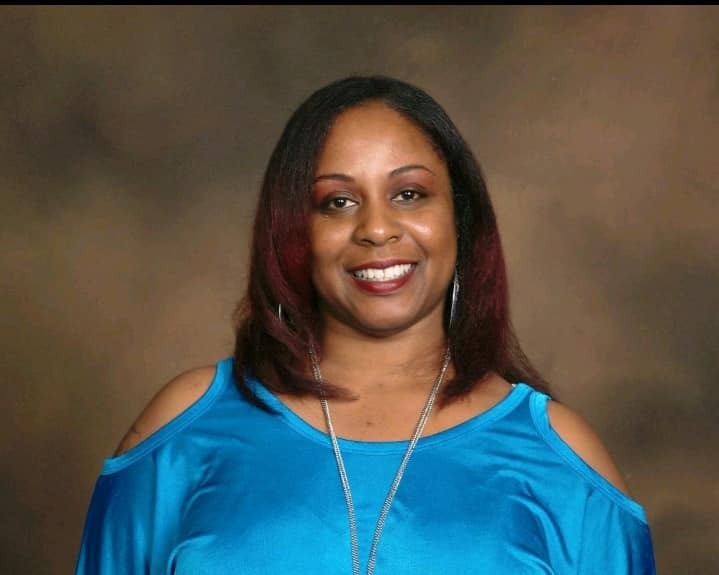 GIVING BACK BIG TIME — For what it’s worth, her wealth of experience as a licensed professional counselor and a board certified counselor has benefited her mightily, most during the course of assembling her new book, thus getting her messages across to her reading audience. 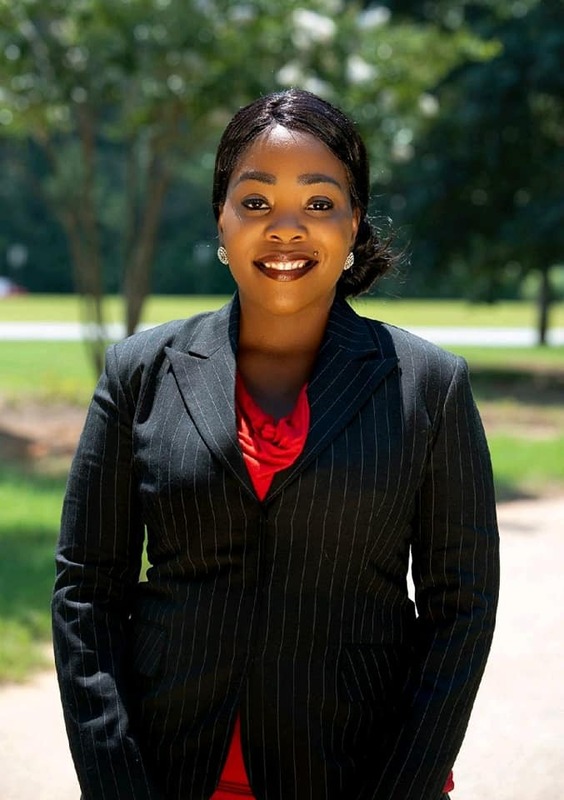 A 10-year U. S. Navy veteran, Thomas is a mother of two children — a 17-year-old daughter and one-year-old son — and a breast cancer survivor, who is currently a doctoral candidate. 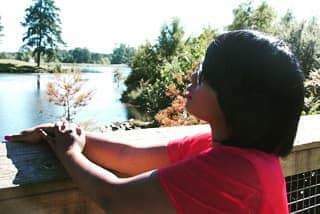 For more information about Atlanta-area Author Shonta L. Thomas, or to schedule her for a public appearance, a book signing or speaking engagement, connect with her via Facebook under: Shonta Thomas. 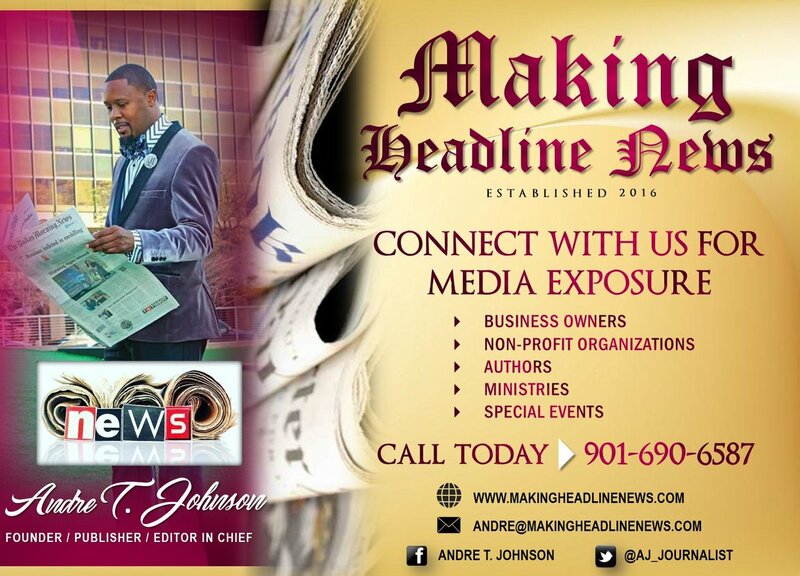 Also, send email to: yourmindmatters@shontalthomas.com.